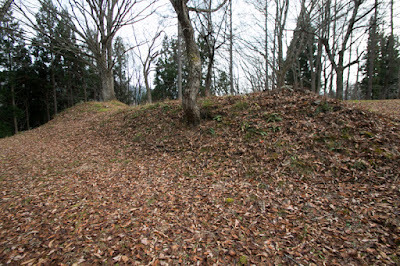 Hisakawa castle (久川城) is located at a long and narrow hill which is separated by deep valley from backside mountains, at the side of Inagawa river in Minamiaizu town. 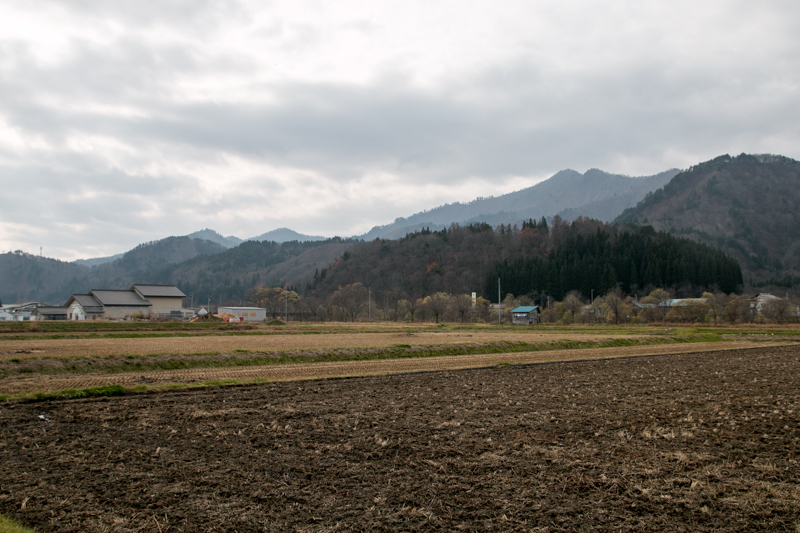 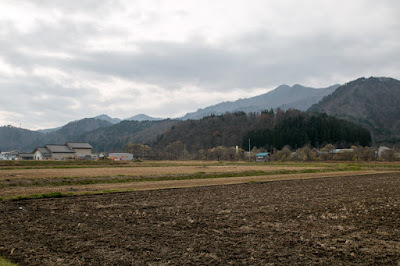 Minamiaizu town is a narrow valley spreads along with Tadamigawa river and Inagawa river exists at 60 kilometer southwest from Aizu basin, and is in deep mountainous area spreads around the border of current Fukushima prefecture, Niigata prefecture and Gunma prefecture. 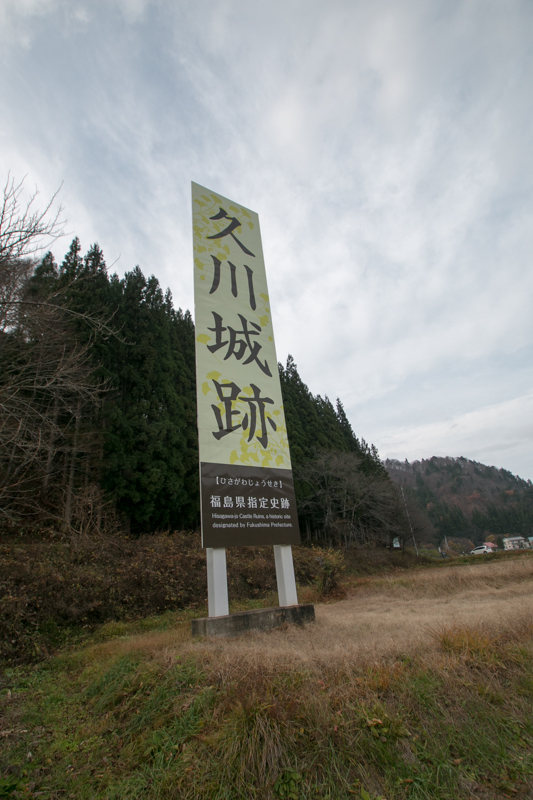 50 kilometer ahead of town, famous Oze Shitugen which is a large high moor famous for alpine plants beautifully blooms in short summer. Currently people can enjoy nature such as camping in summer and skiing in winter apart from noise of the city, but this also means toughness for residents. 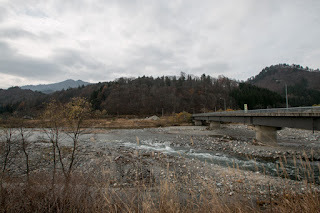 Especially this area is one of the heaviest snow area in Japan, and although this is a source of pure water but also significantly prohibits activity of people in winter, especially in medieval era. 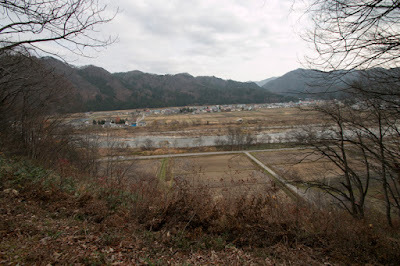 In addition to this, even though a narrow valley, a mountainous road passing this town toward Uonuma area of Niigata prefecture through current Lake Okutadami or toward Numata via Oze, thus it was necessary to guard this area to control the passengers. Precise year is unknown but Hisakawa castle was built by local lord Kawarada clan around 1589. The detail is unknown but Kawarada clan is said as a descendant of Oyama clan, a traditional retainer of Kamakura Shogunate and moved to Minamiaizu area in 15th century. 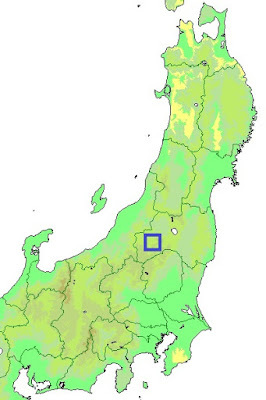 Kawarada clan gradually grew into one of the major local lord of Aizu region, but also was weaker than Ashina clan which held large flat land and population Aizu basin. 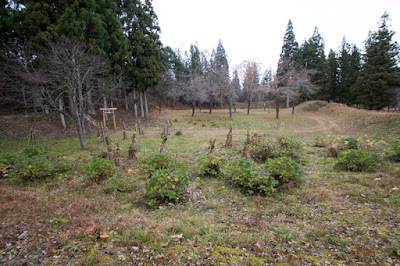 At the middle of 16th century, Kawarada clan was attacked by Moriuji Ashina (1521-1580), who was the lord of Ashina clan at its peak period, and once rejected Ashina army bur finally subordinated to them. Kawarada clan once stabilized their position under Ashina clan, but after the death of Moriuji, Ashina clan rapidly became weak because of exhaustion after aggressive expansion under Moriuji and internal conflict for successor. 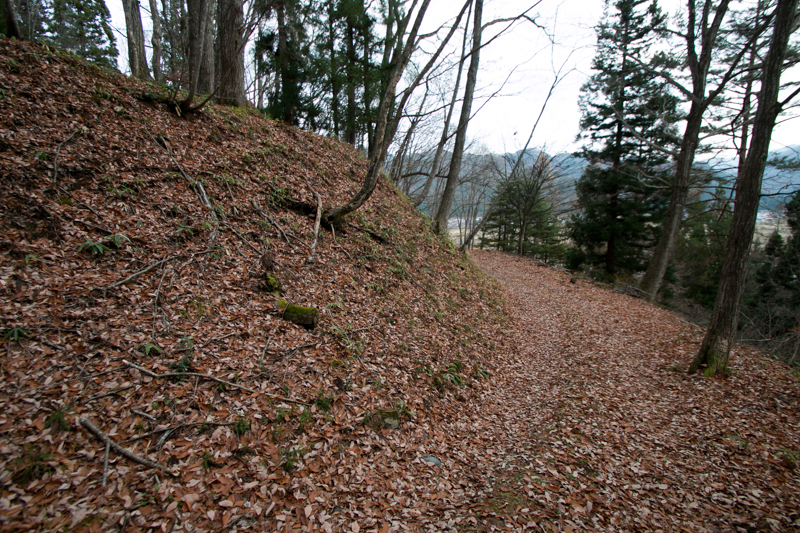 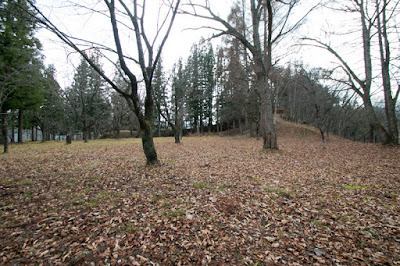 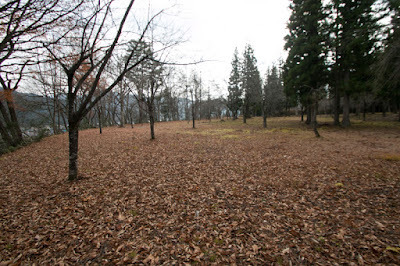 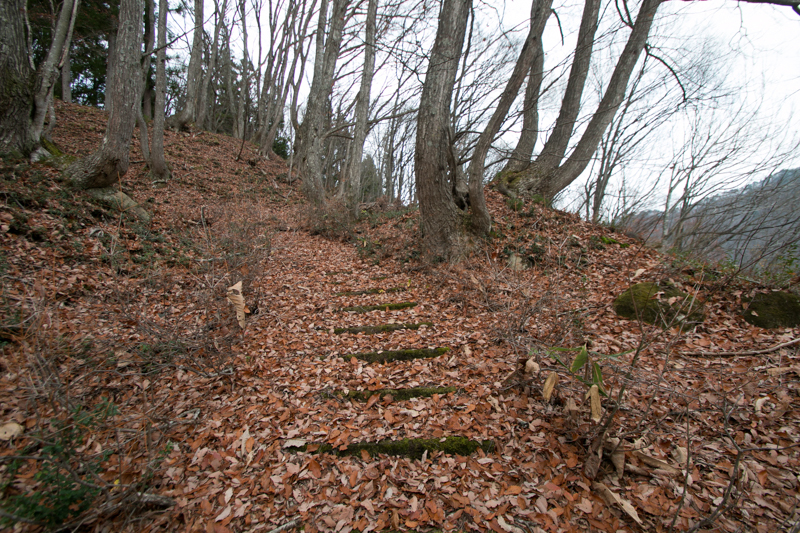 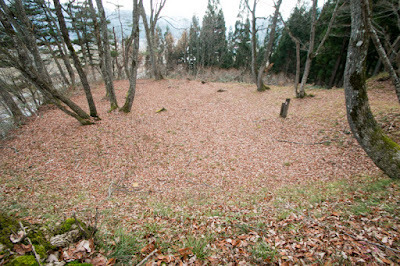 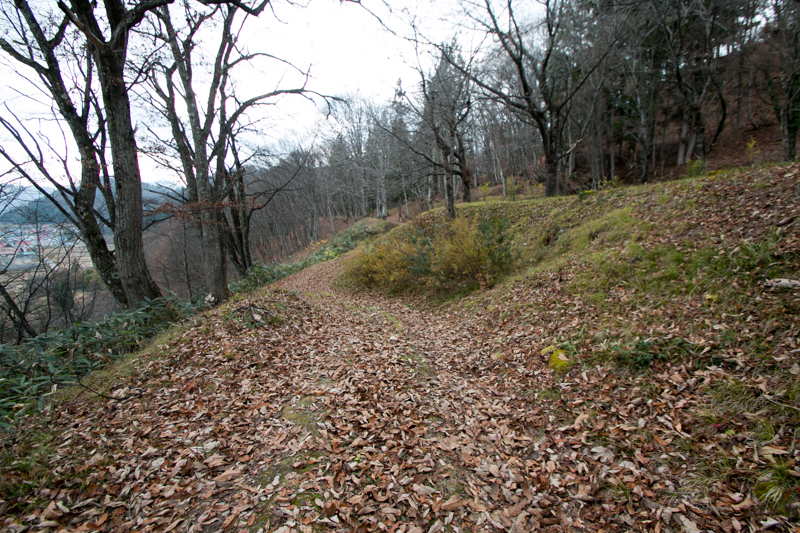 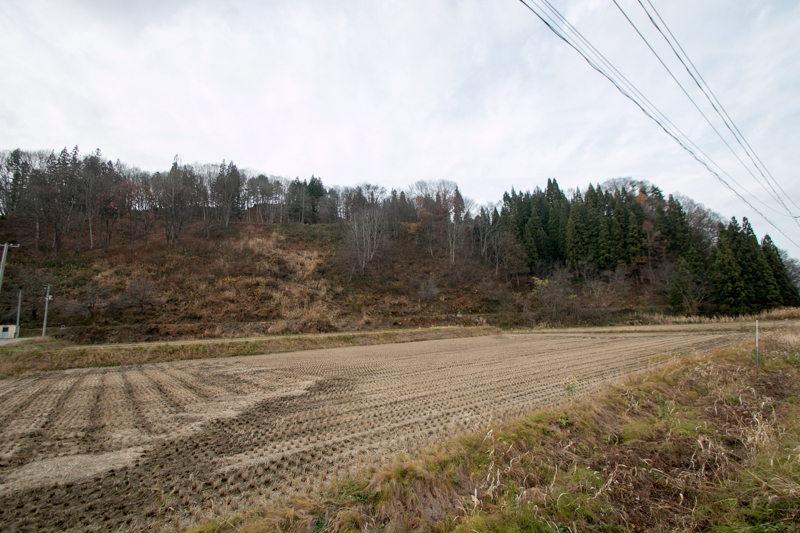 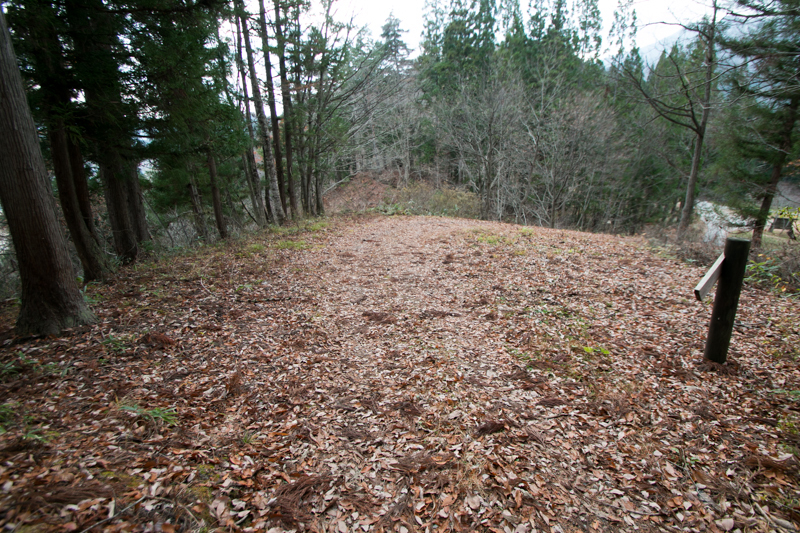 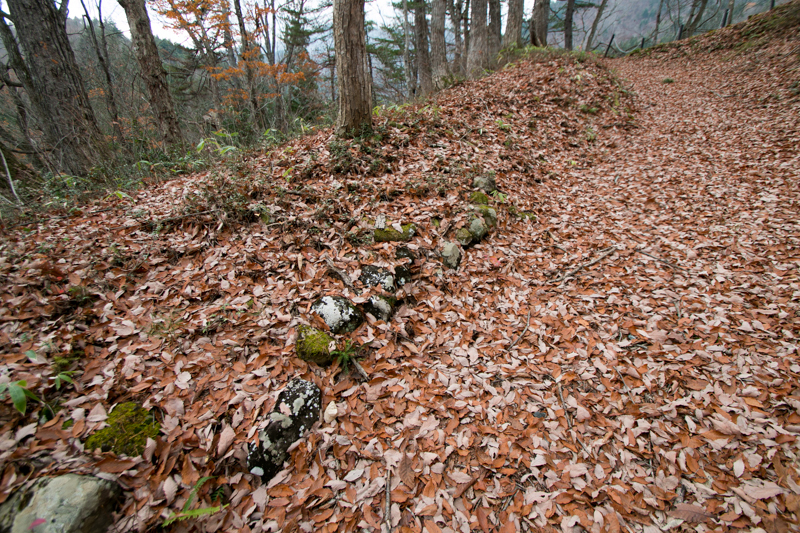 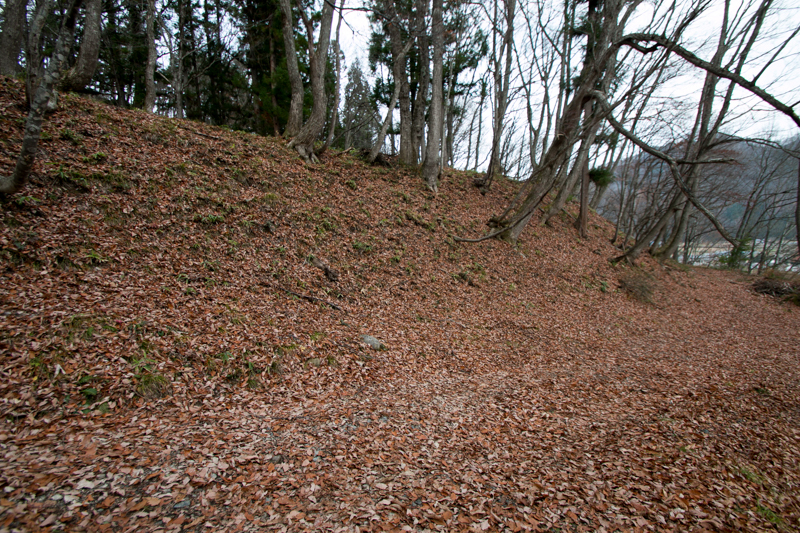 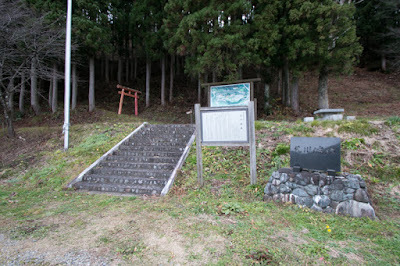 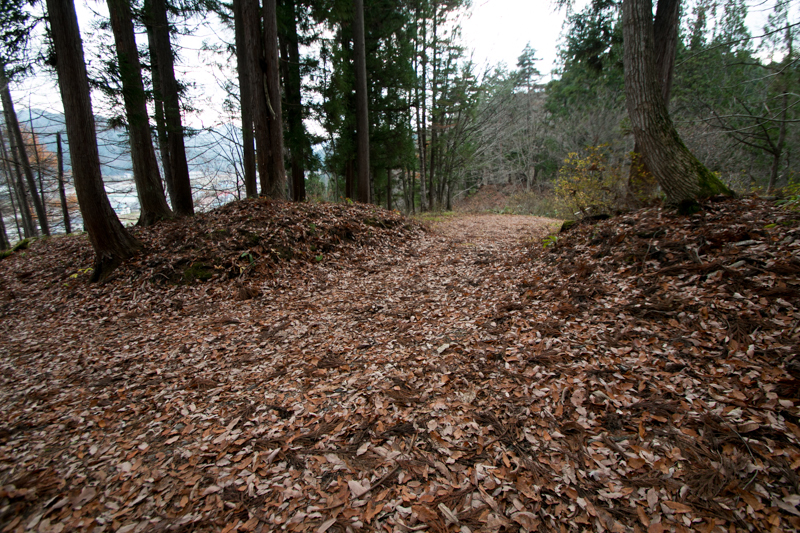 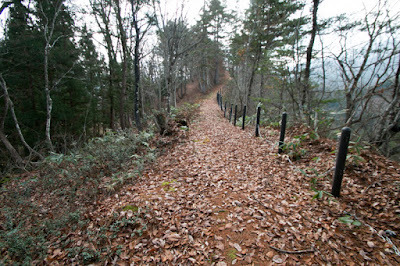 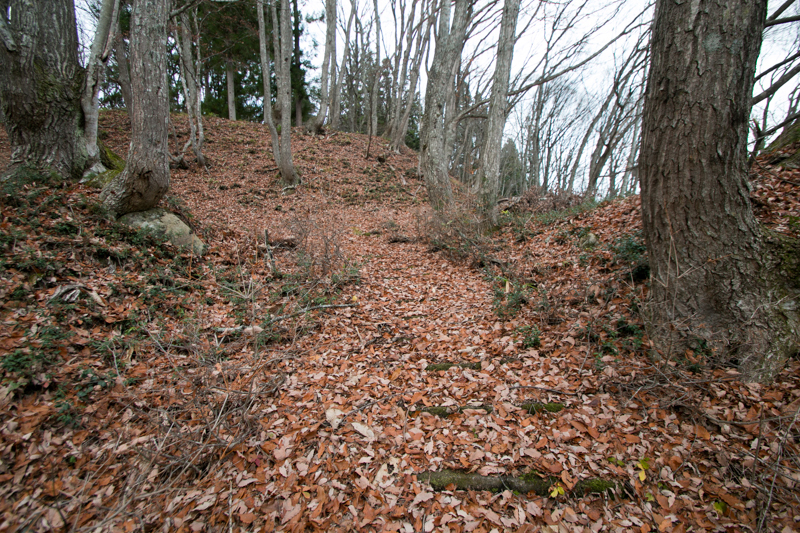 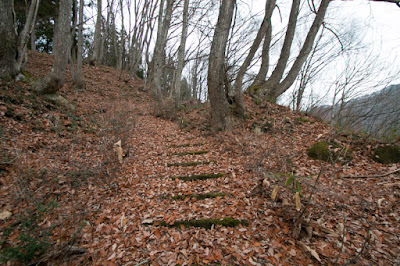 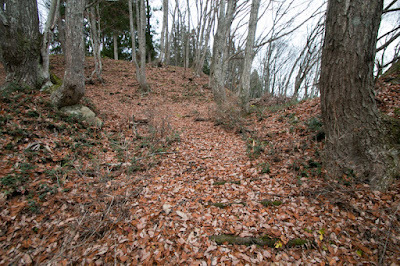 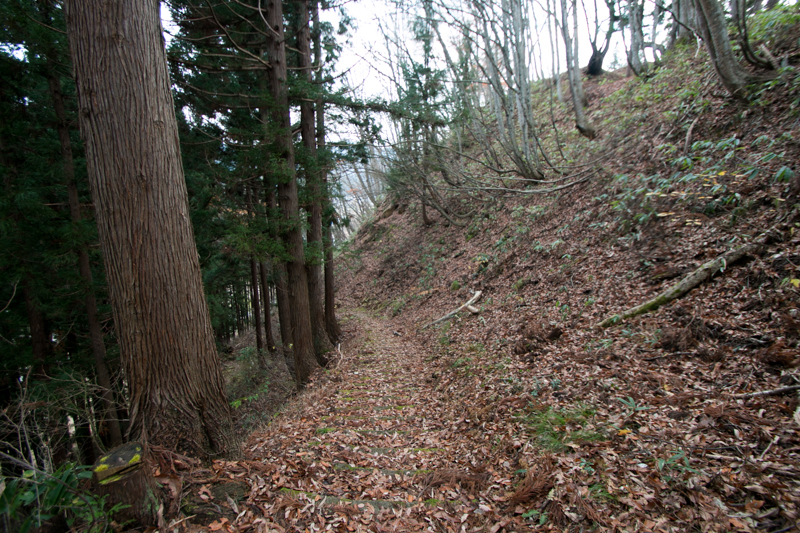 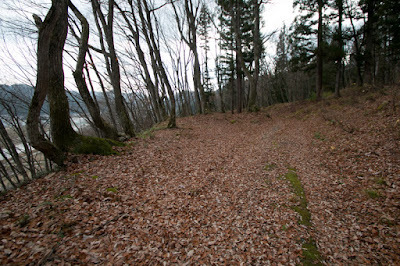 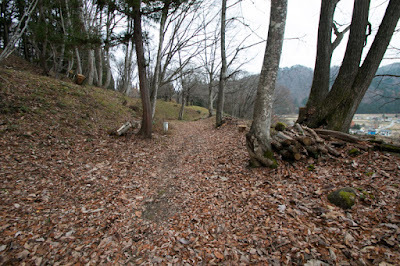 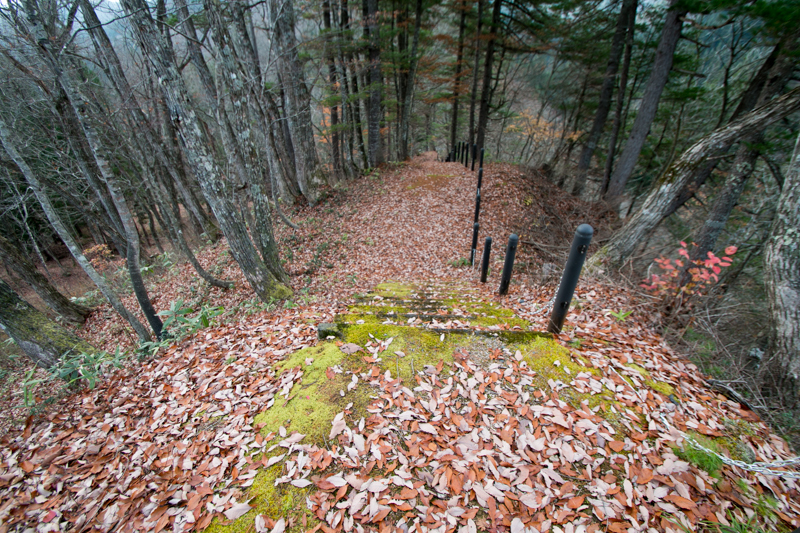 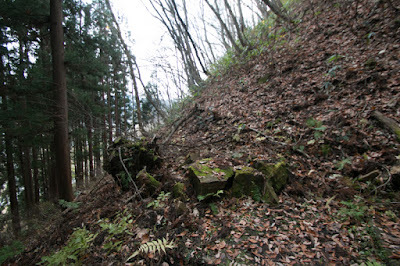 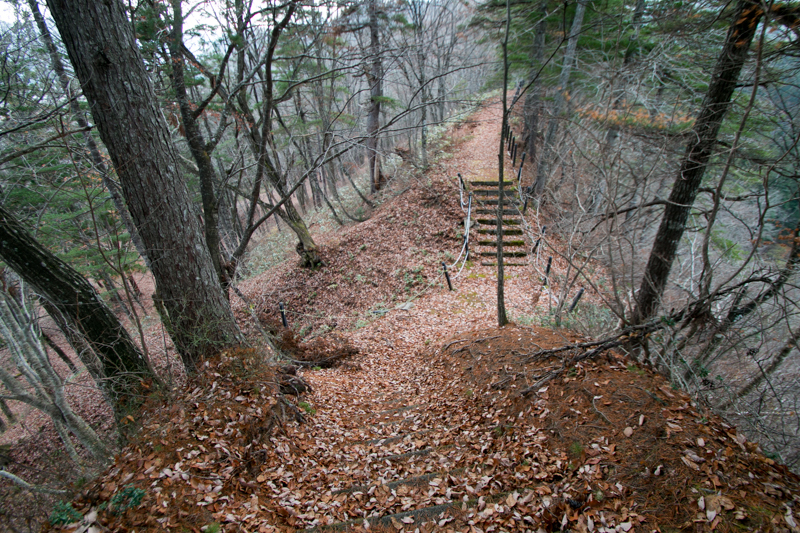 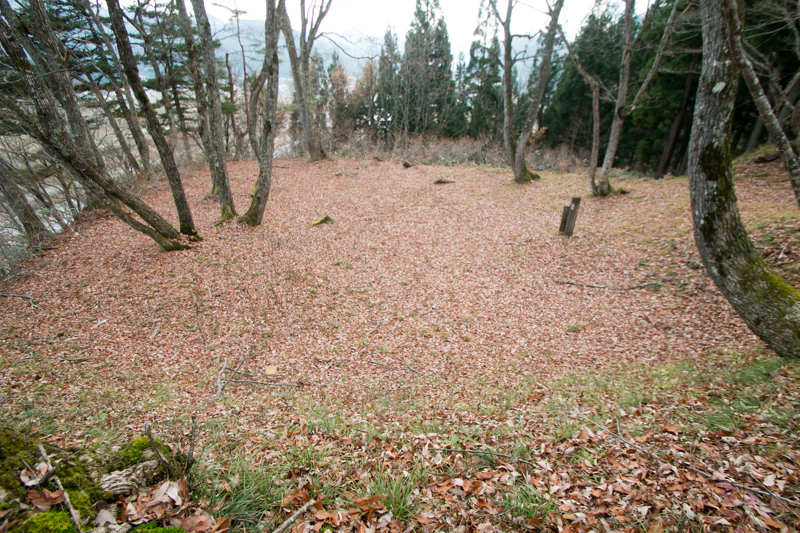 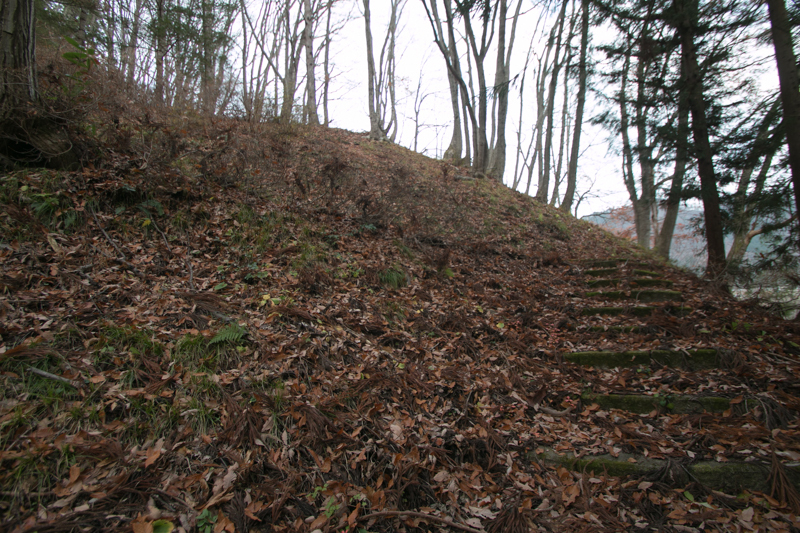 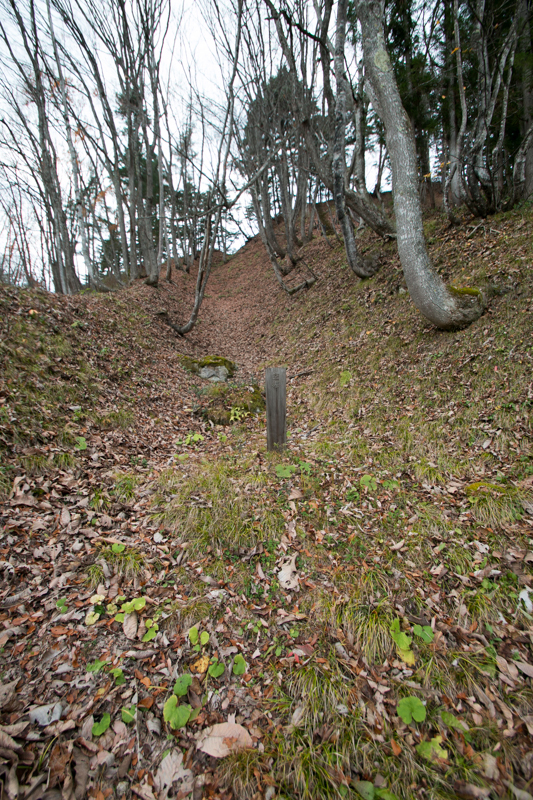 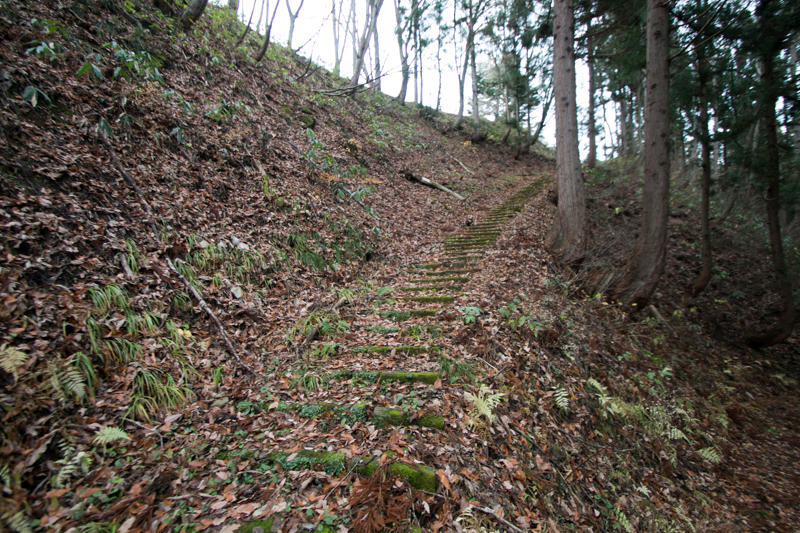 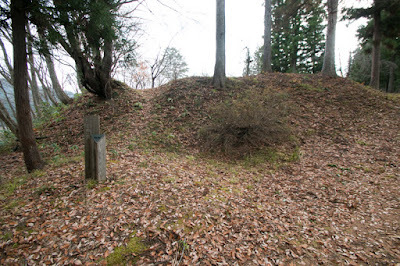 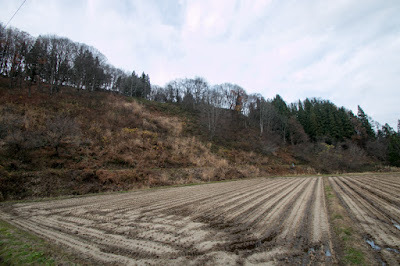 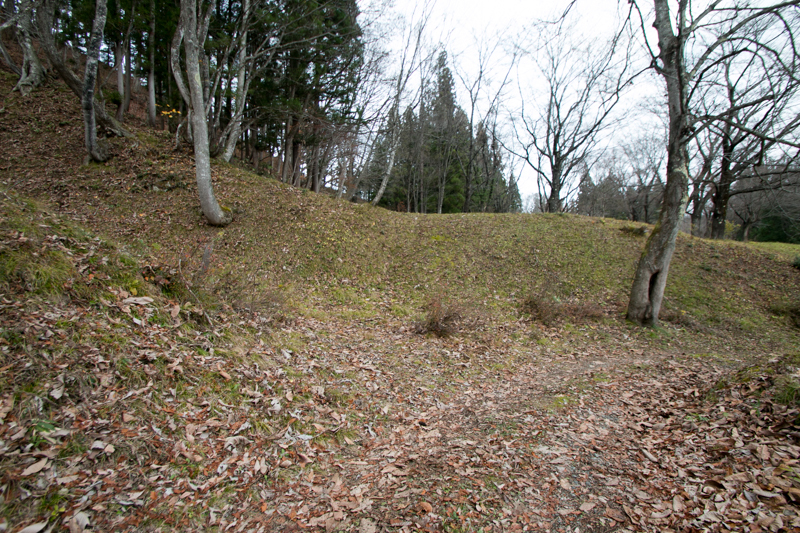 Seeing this situation, Masamune Date (1567-1636), vigorous young road of Yonezawa castle (Yamagata prefecture) who was feared as single eyed dragon, defeated anti Date alliance and made total attack to Ashina clan in 1589. 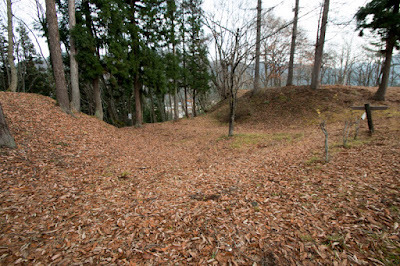 Ashina clan was defeated by Masamune at the battle of Suriagehara then escaped from their main base Kurokawa castle, then Ashina clan once won a name easily collapsed. 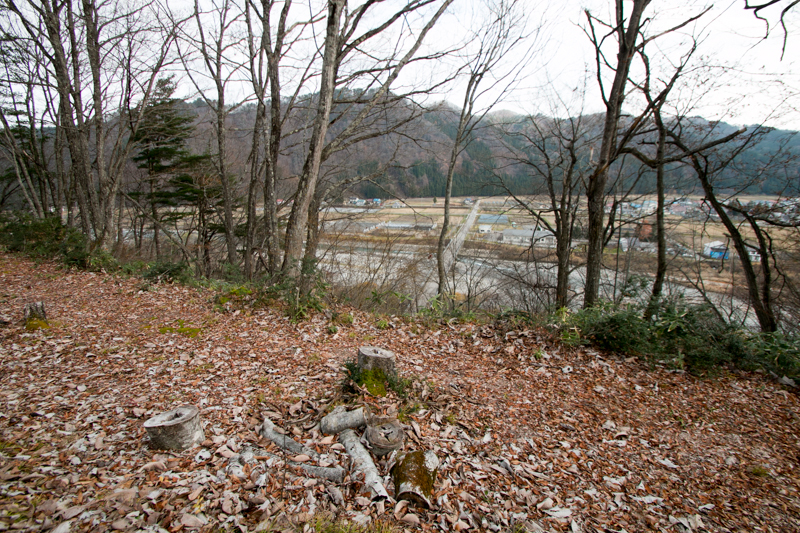 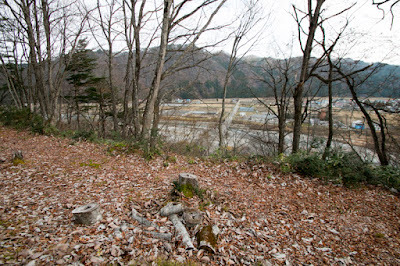 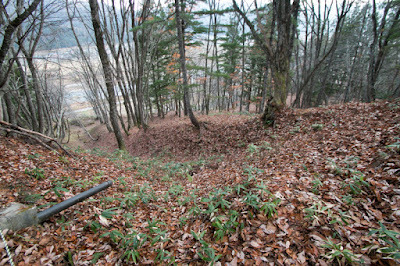 Masamune captured Aizu basin next aimed occupation of whole Aizu area including mountainous area. 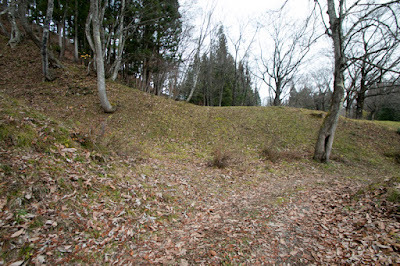 Masamune forced Naganuma clan of Shigiyama castle at the next of Hisakawa castle, then next suppressed Kawarada clan. In response to this, Kawarada clan allied with Yamauchi clan at neighbor place to resist against Masamune, and newly built Hisakawa castle replacing their former main base Komaki castle. 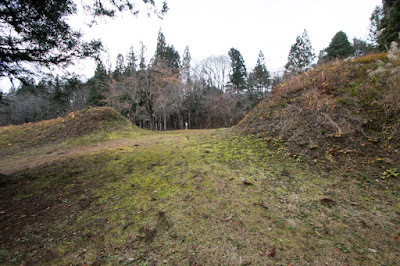 Facing fierce attack of Date army, Kawarada clan barely survived attack of Date army at Hisakawa castle, under secret support of Kagekatsu Uesugi (1556-1623) and central ruler Hideyoshi Toyotomi (1537-1598) who did not hope further expansion of Masamune. 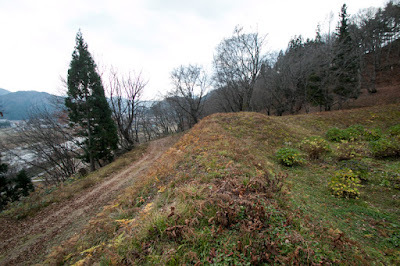 In 1590, Hideyoshi Toyotomi who ruined Hojyo clan which held whole Kanto region at Odawara campaign forced Masamune to obey, and Masamune had no other choice to do so. 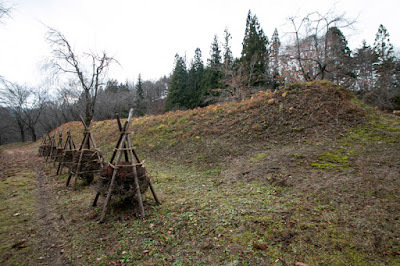 Masamune disposed captured Aizu region, but Kawarada clan and Yamauchi clan did not or could not visit Hideyoshi to get certification thus were not approved to continue as lords and lost their territory. 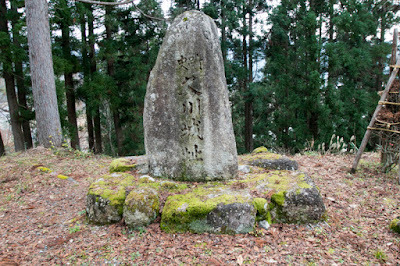 Hideyoshi gave Aizu region to Ujisato Gamo (1556-1595), his trusted and talented general, and considering geographical importance of Aizu region as an restraint against Masamune or Ieyasu Tokugawa (1543-1616), the largest lord who got Kanto region, Hideyoshi did not intend to remain former lords which might be anxiety factor to Ujisato. 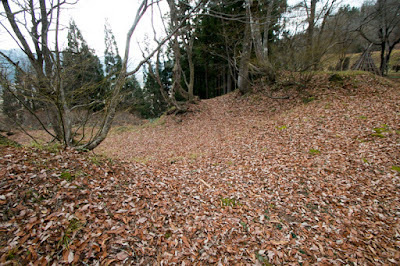 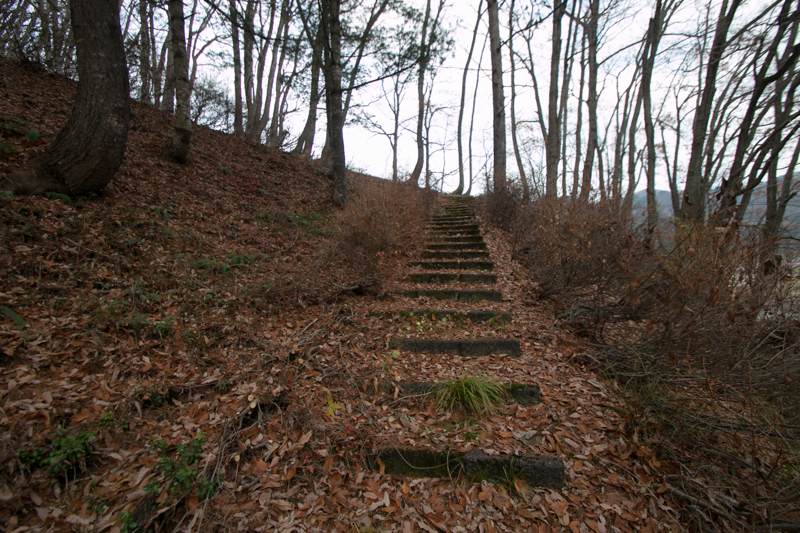 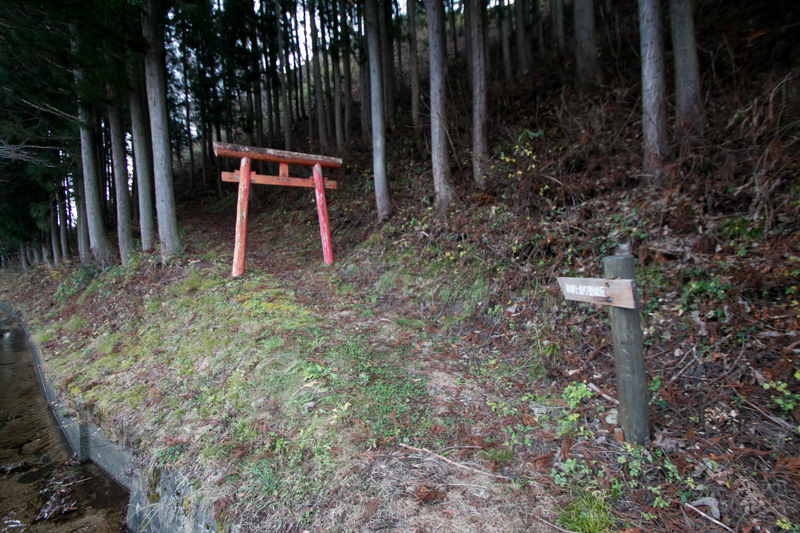 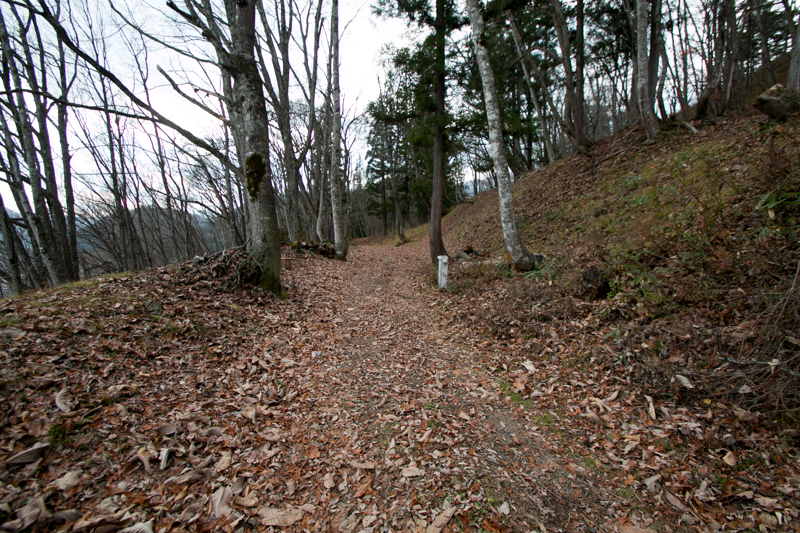 Ujisato who achieved Aizu region jumped to the lord of large territory, but also faced difficulties. 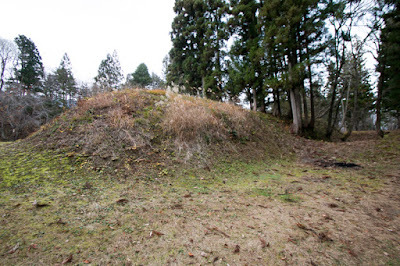 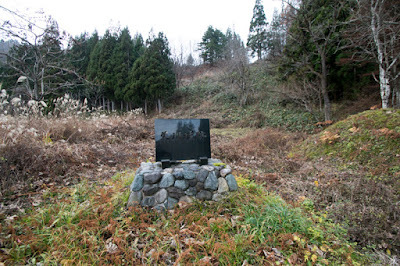 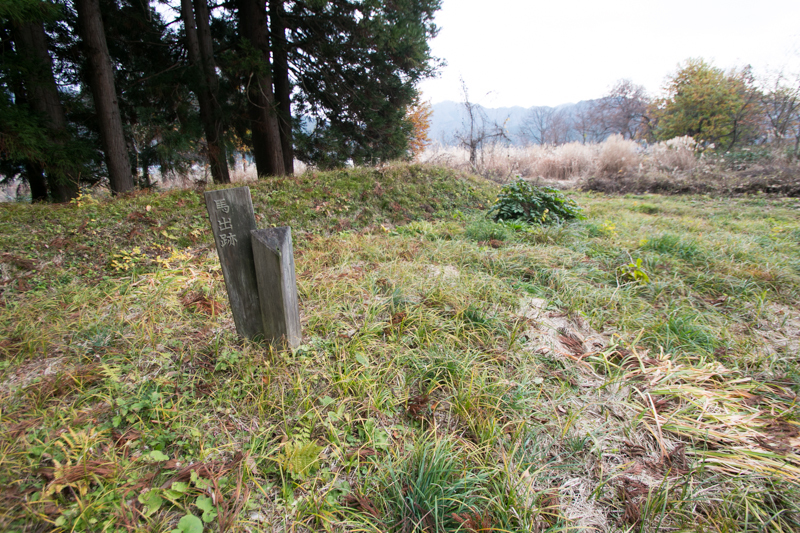 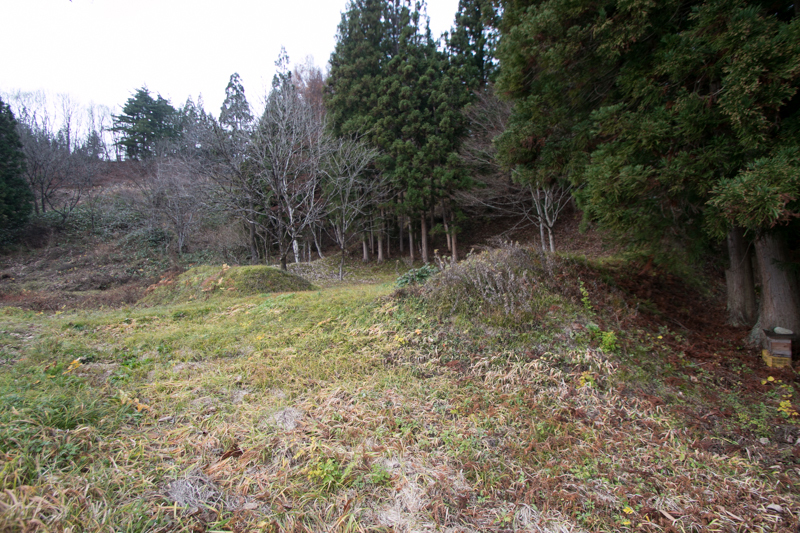 In addition to potential enemy such as Masamune or Ieyasu, there was a possibility of rise by dissatisfied former retainer of Ashina clan or local pheasants disliked land investigation. 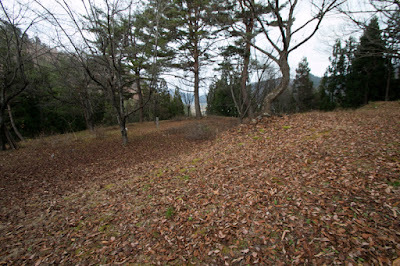 Aizu region was divided into small pieces by mountains, and in winter heavy snow limited movement of army. 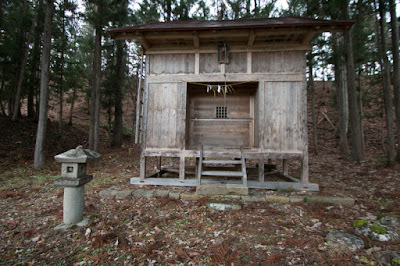 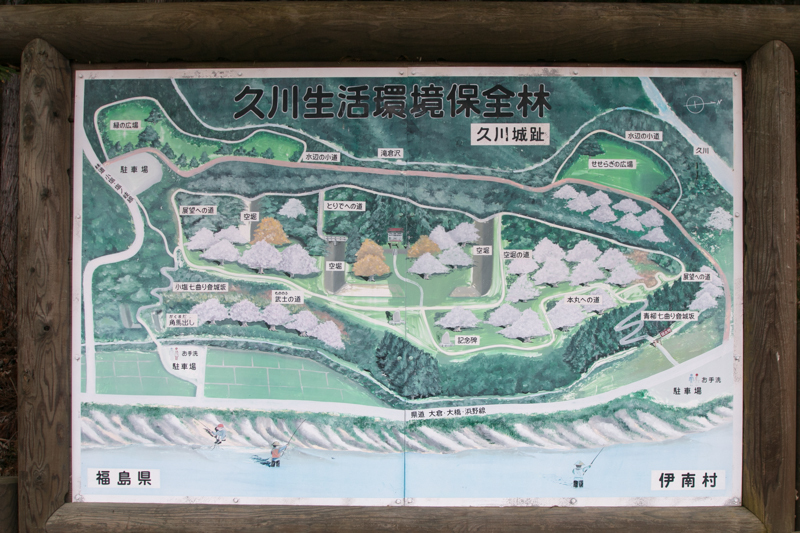 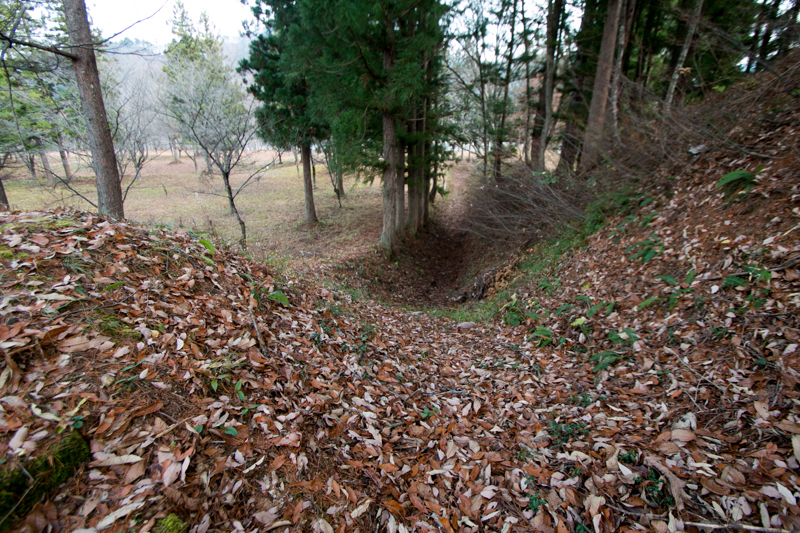 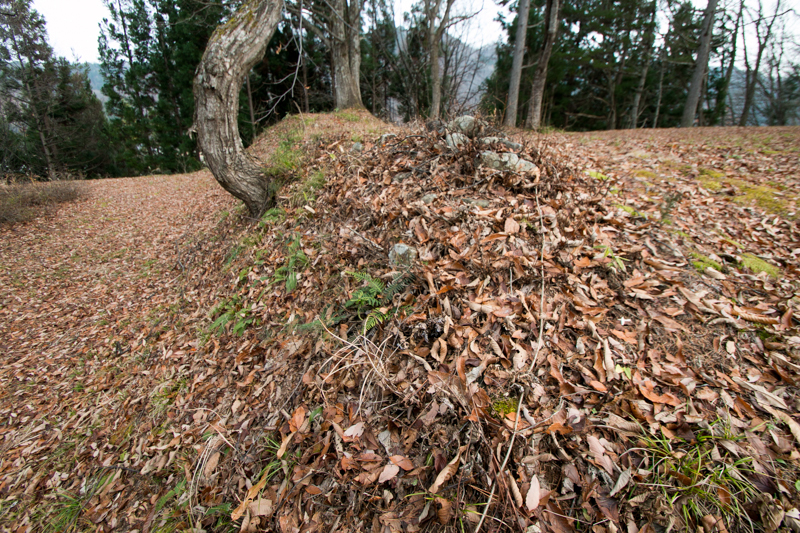 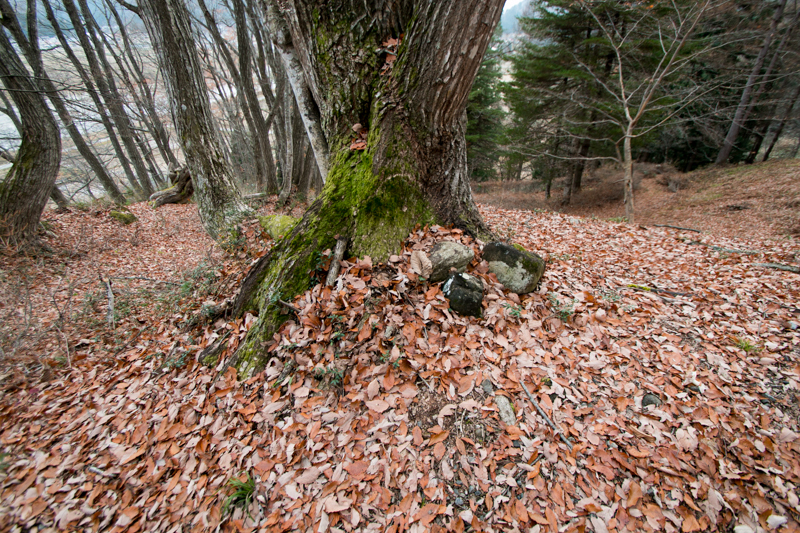 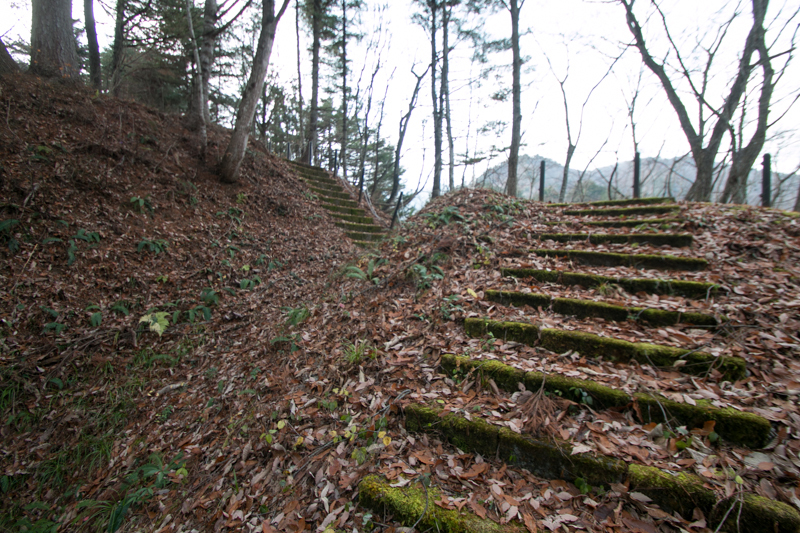 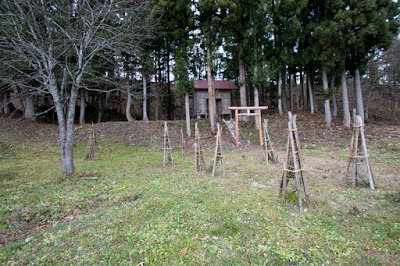 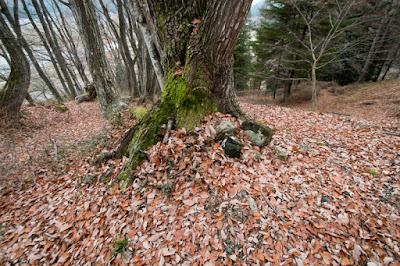 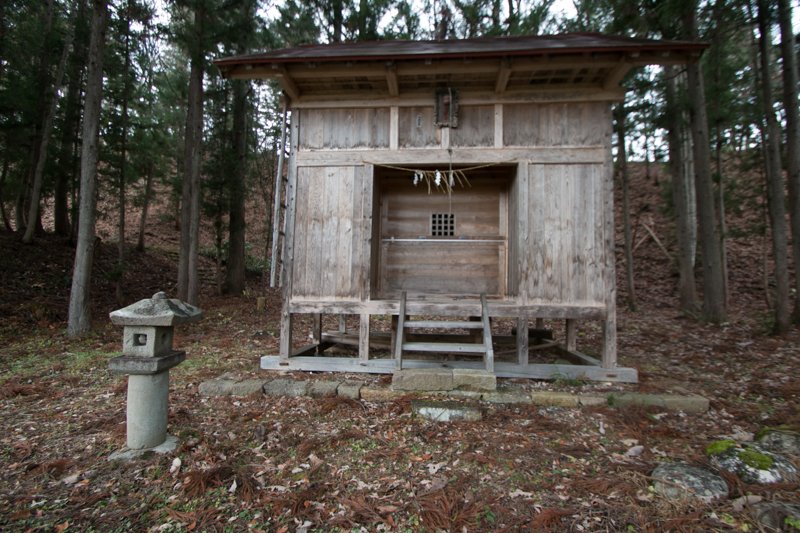 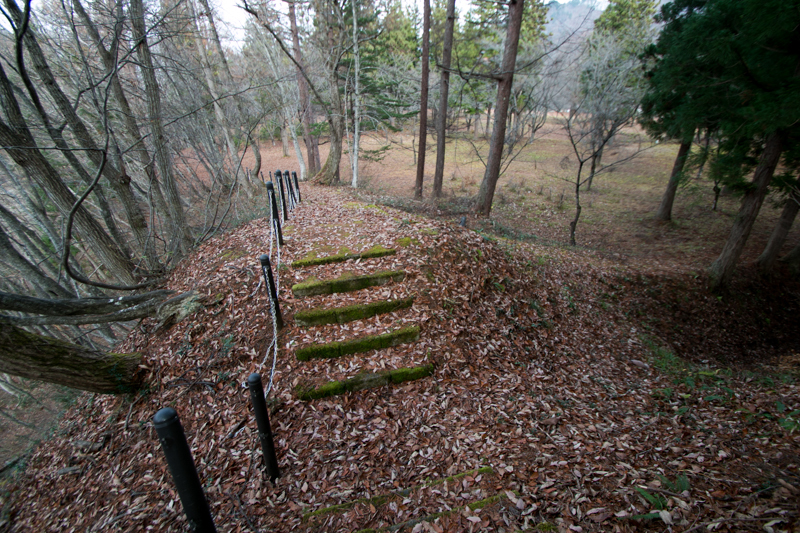 Under such circumstance, Ujisato built many branch castles all over the territory for security. 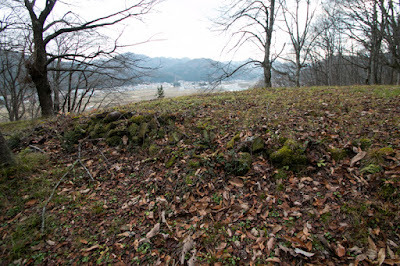 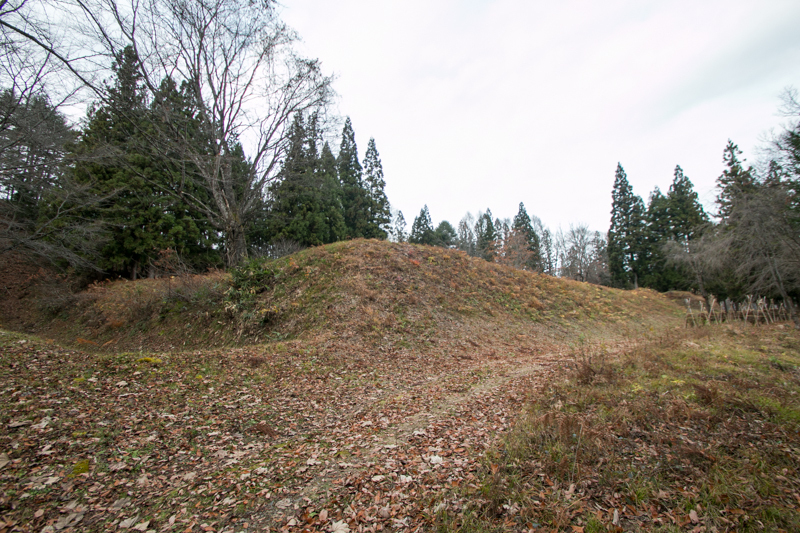 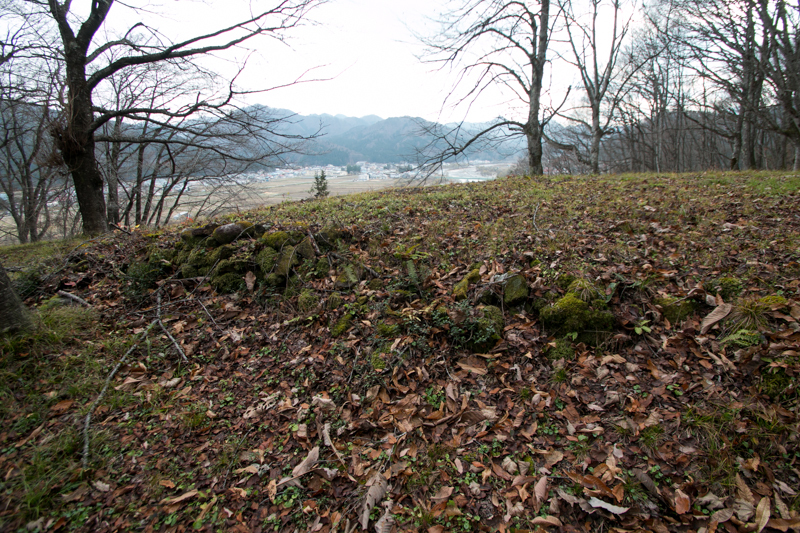 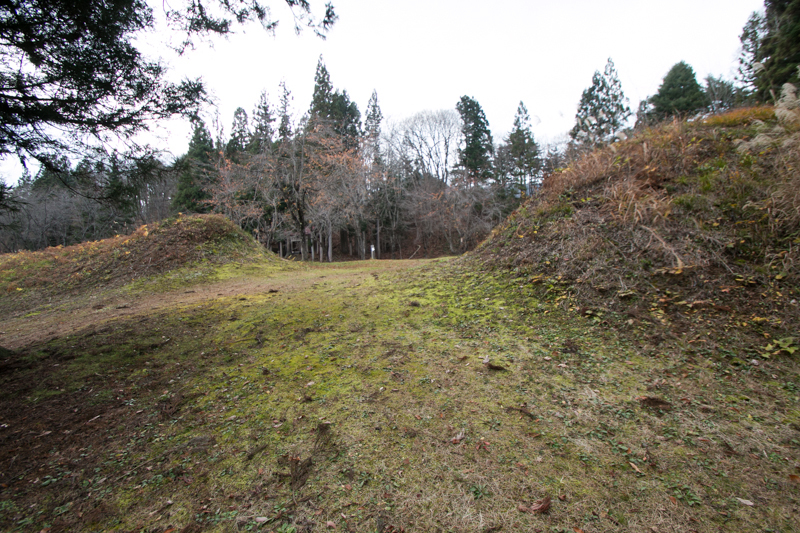 For southwestern part of Aizu area, there was almost no possibility for the conflict with regular army of other warlords, thus it was necessary to guard the area by small army and stand the castle for certain period before the arrival of reinforcement. 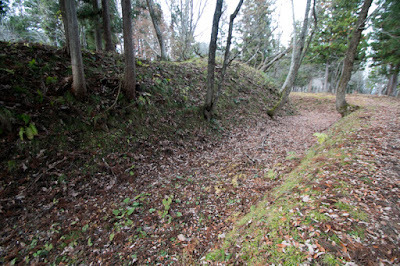 Under the limited workforce and materials, Ujisato gave priority to eastward castles such as Inawashiro castle or Nihonmatsu castle faced main route of Tohoku region, then Hisakawa castle was reformed with less construction. 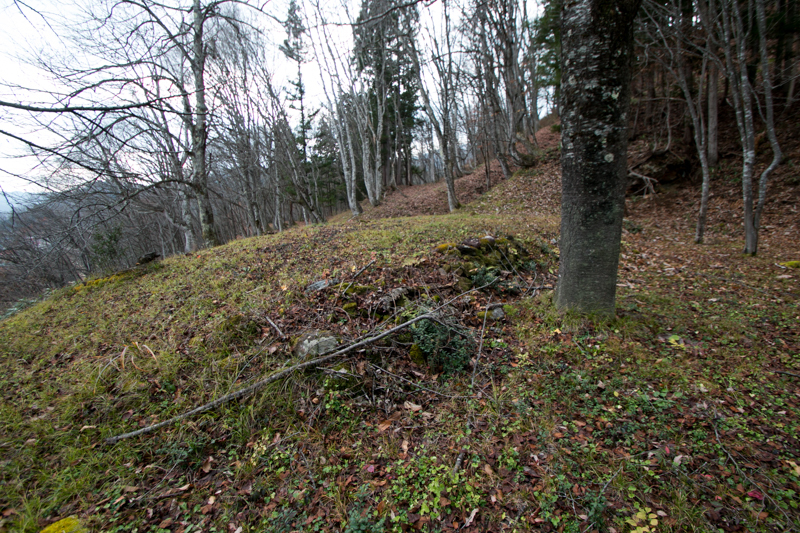 But it might be a total renovation from former medieval castle. Hisakawa castle stands a boat shaped hill of 400 meter long, spreads north and southbound being surrounded by two rivers. 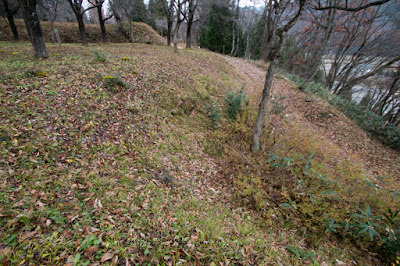 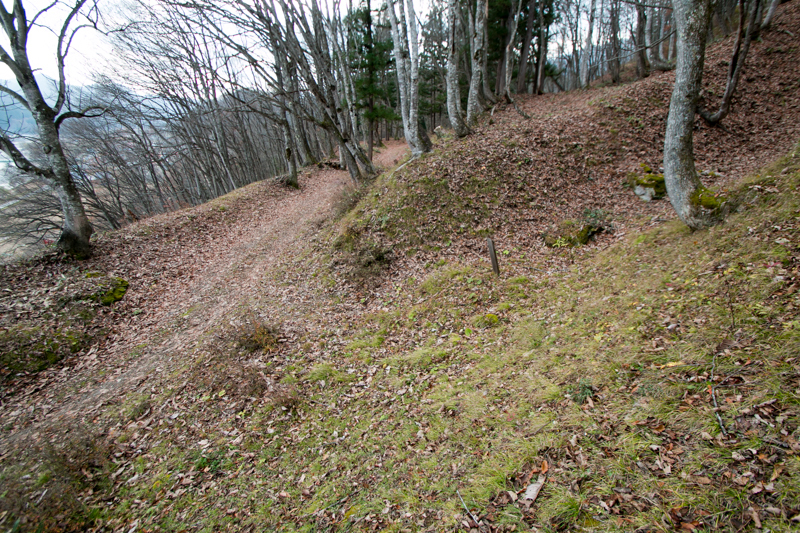 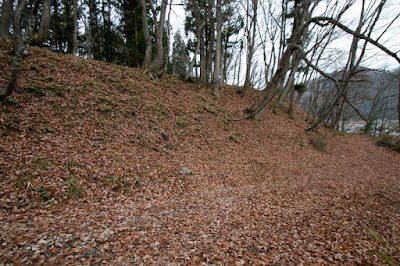 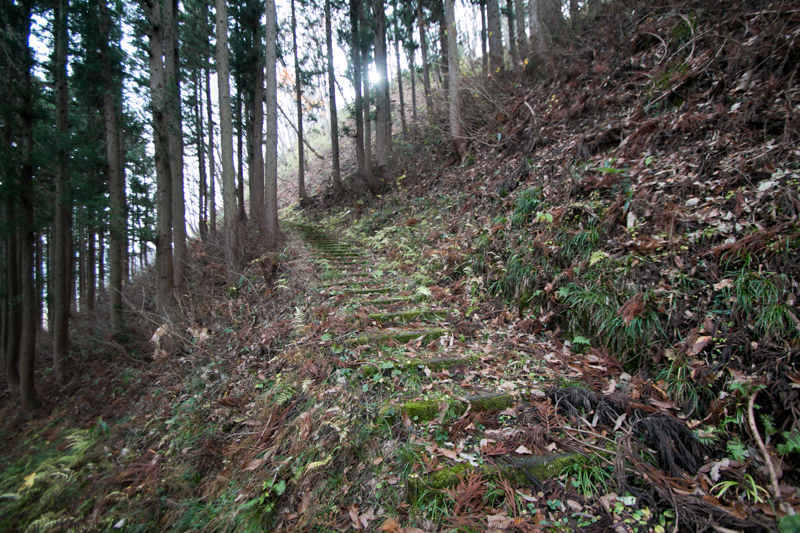 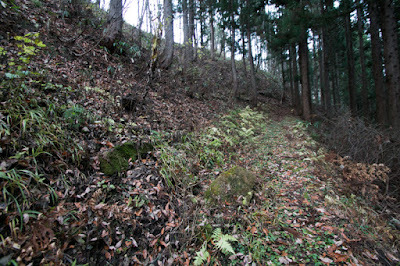 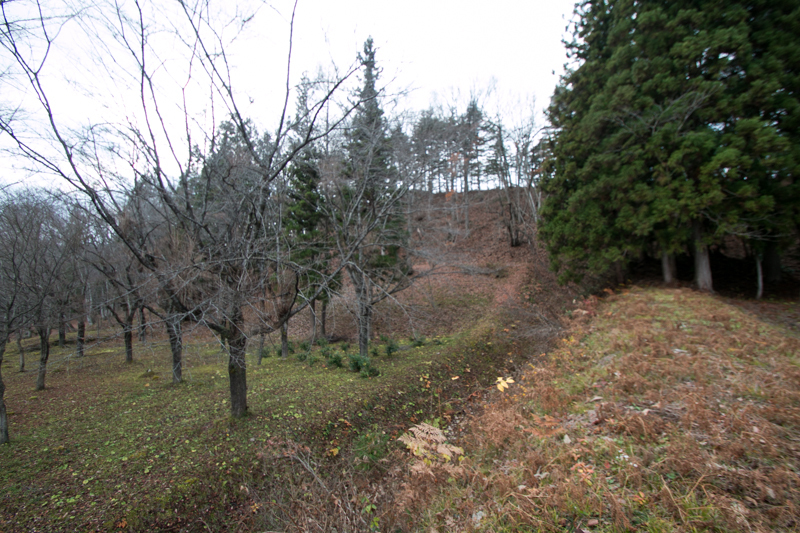 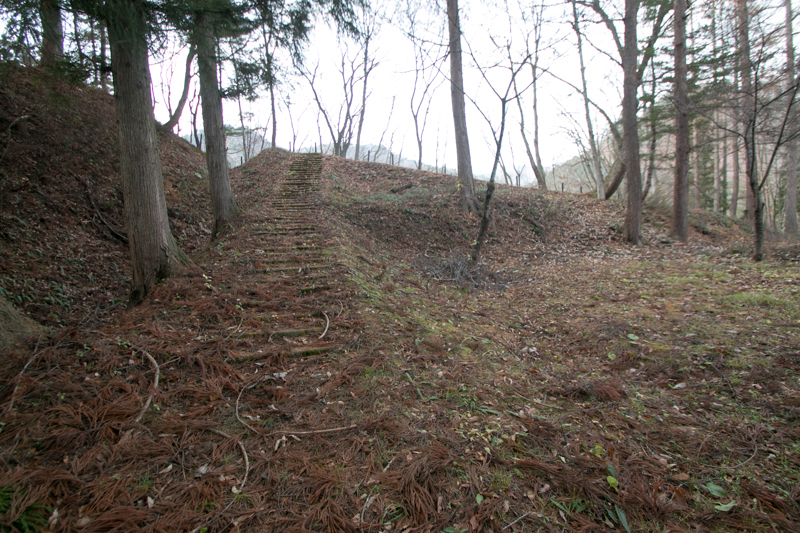 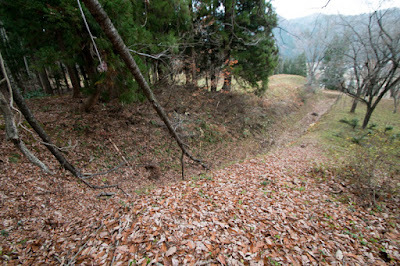 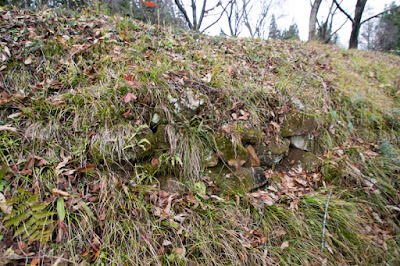 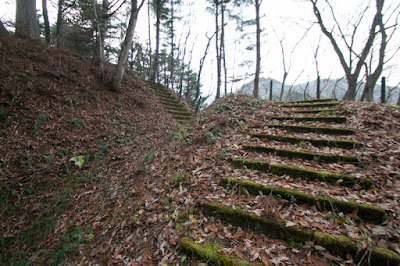 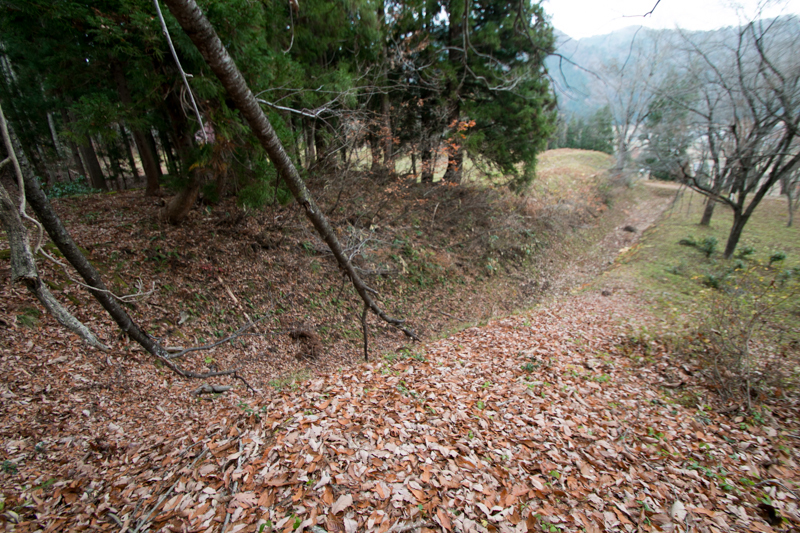 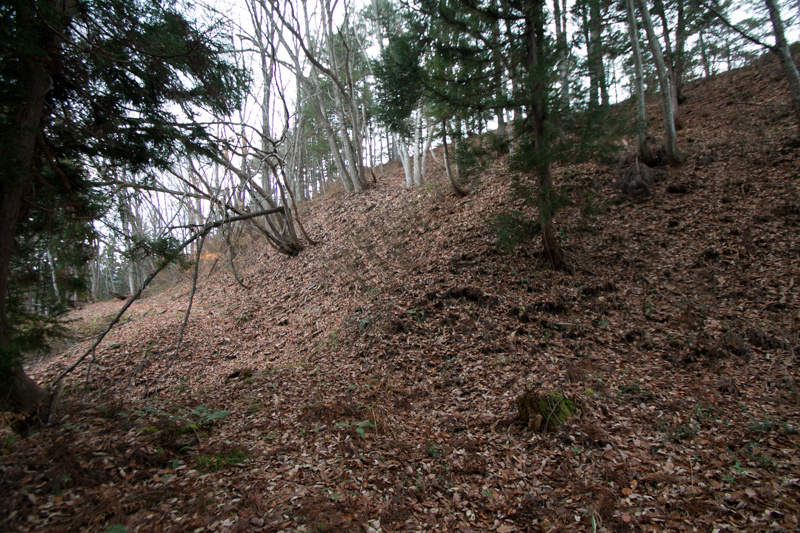 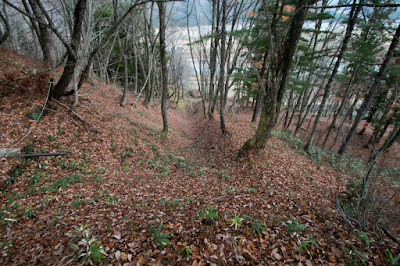 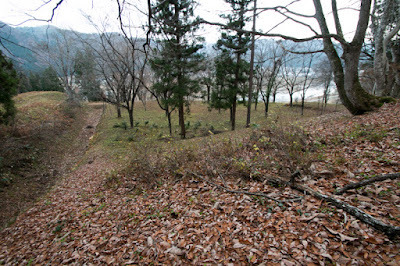 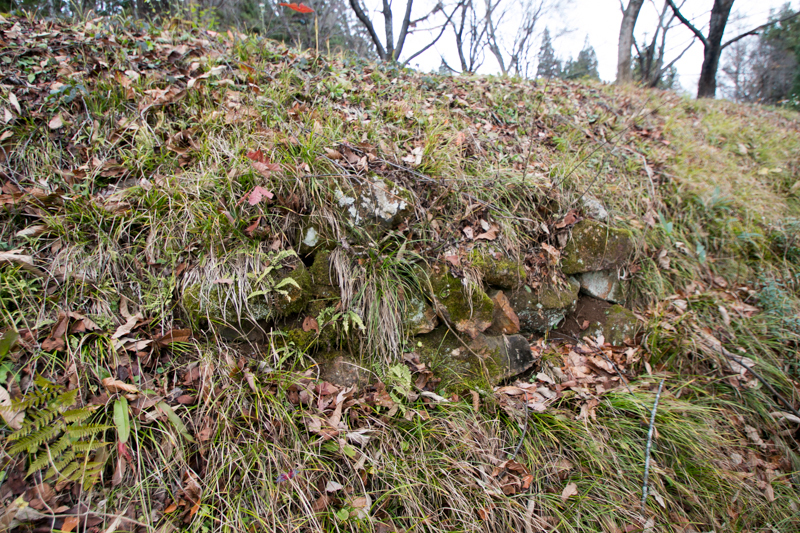 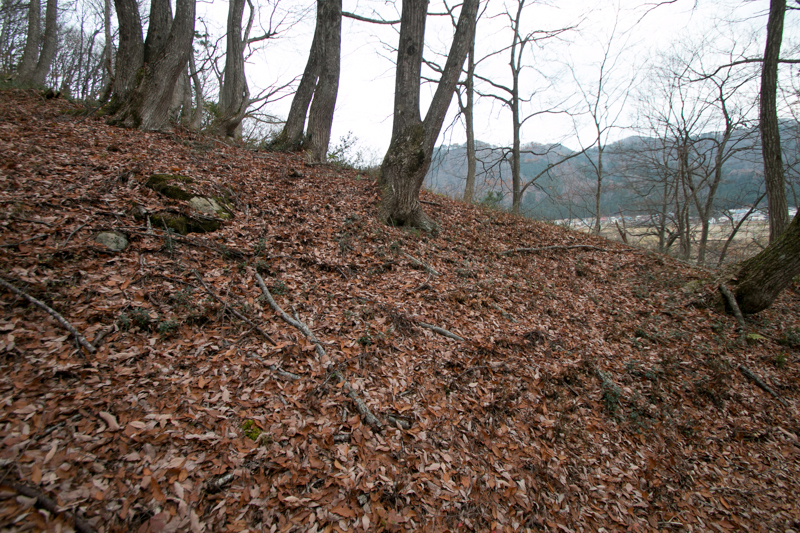 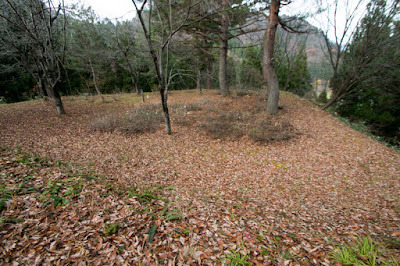 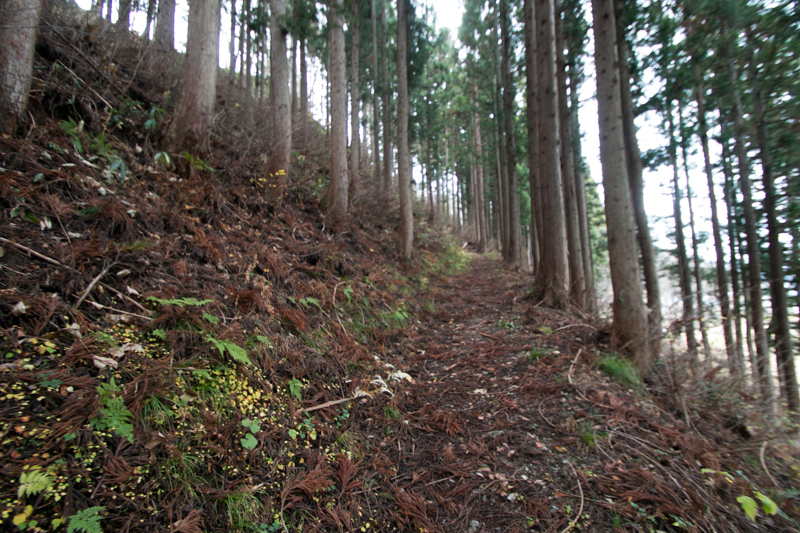 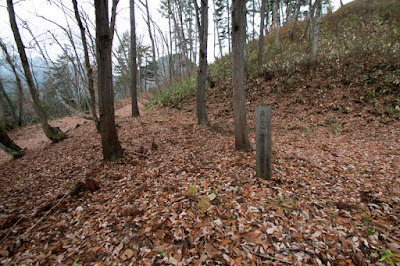 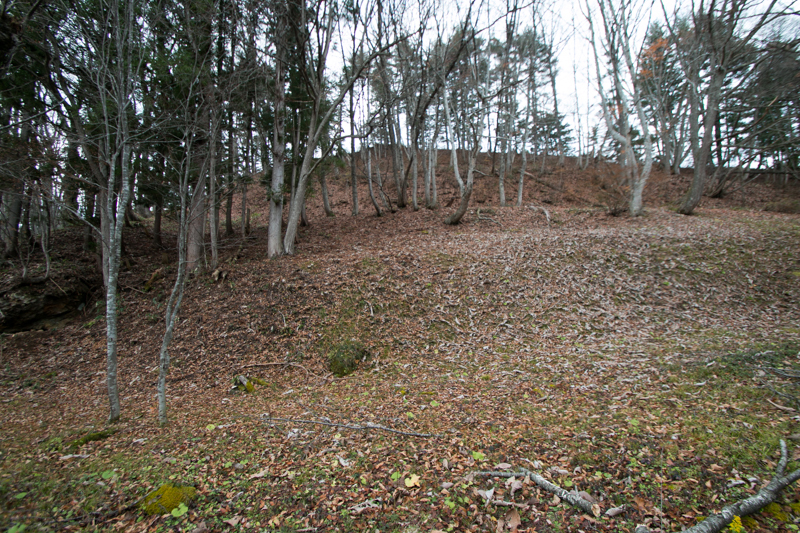 Originally slope straightly continued from the ridge to hillside, but Gamo clan drastically dug this slope and created large flat space and backside vertical wall like “L” letter as a partial cross section. This backside wall was intended to limit the attack of enemy from backside, and also might work as a wind shelter in winter season. 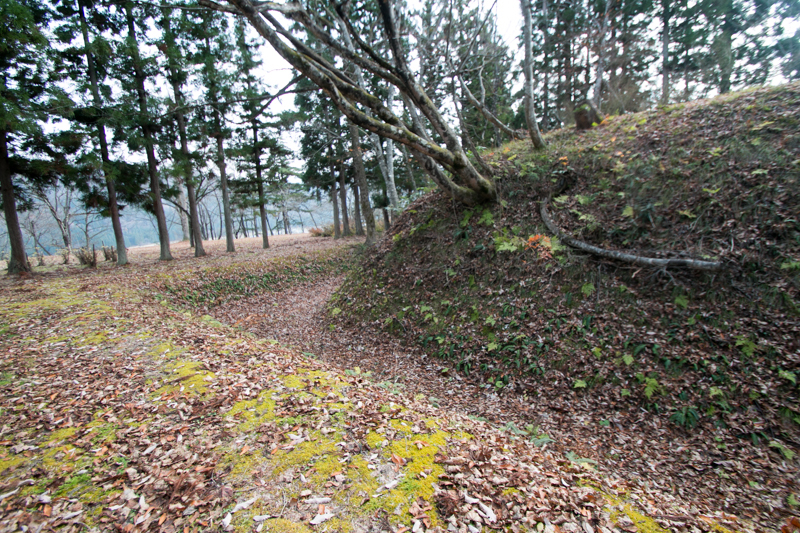 A combination of boat like shaped hill and wide flat space like a main deck, Hisakawa castle exactly seems like a warship. This backside slope is separated by magnificent vertical dry moat. 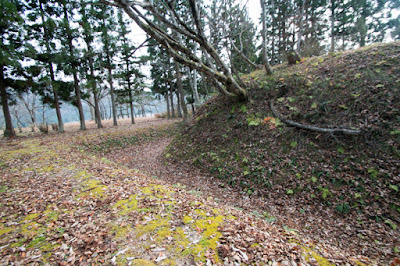 At the one third of the hill from north edge, there is a 80 meter long and 50 meter wide square shaped main area protected by clay walls with corner turrets and barrack gate. 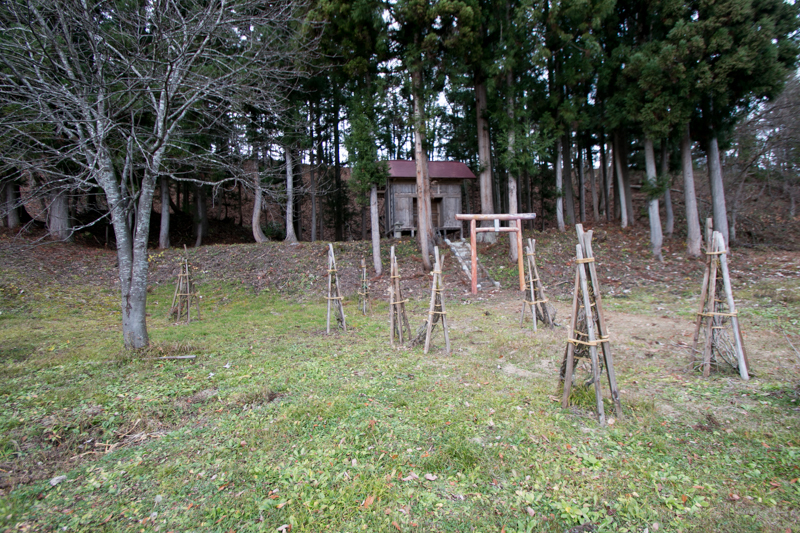 There might be a residence of the lord, which resembles to the control tower of warship. 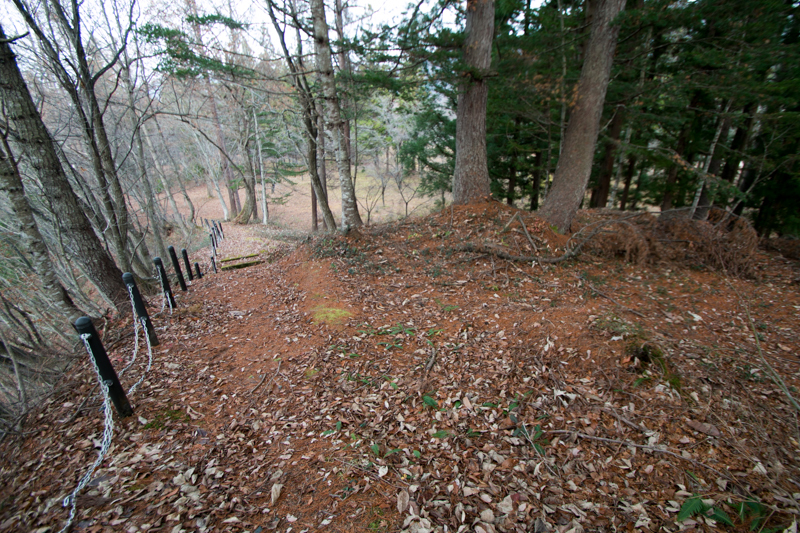 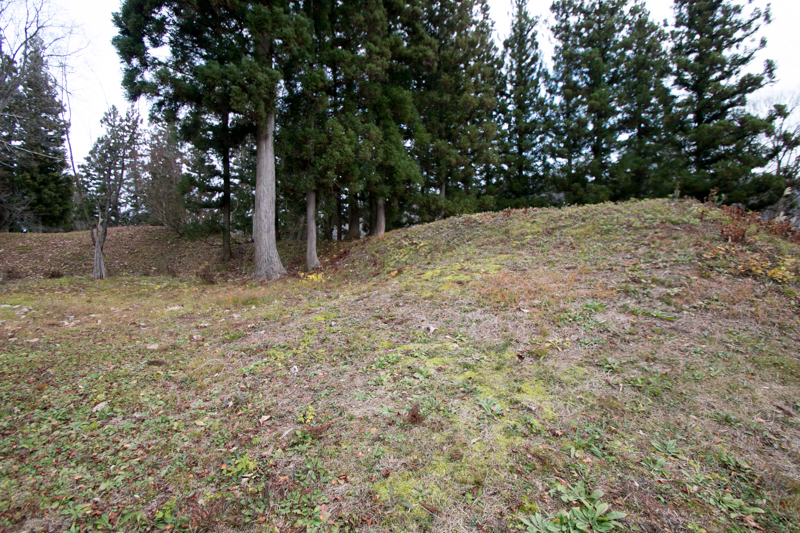 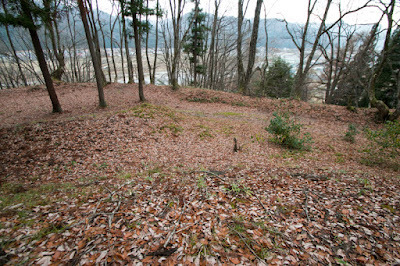 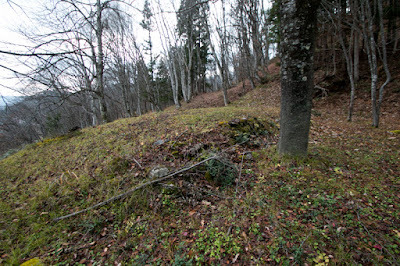 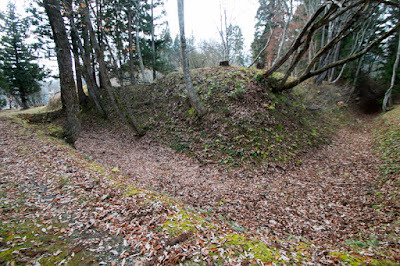 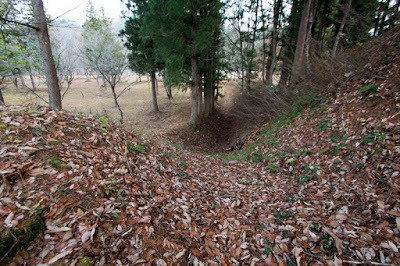 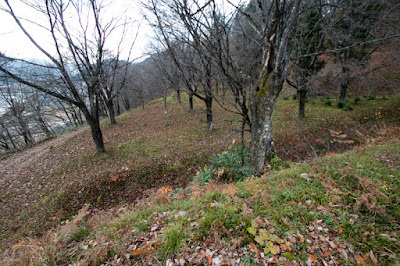 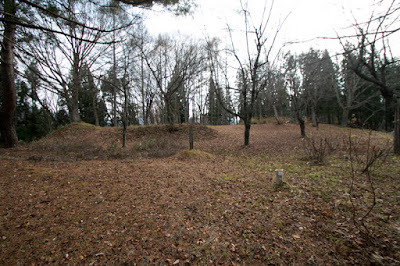 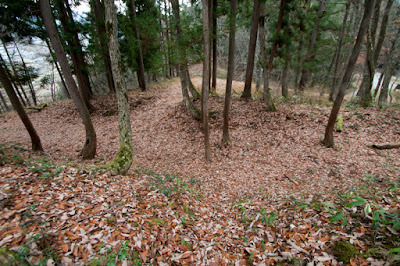 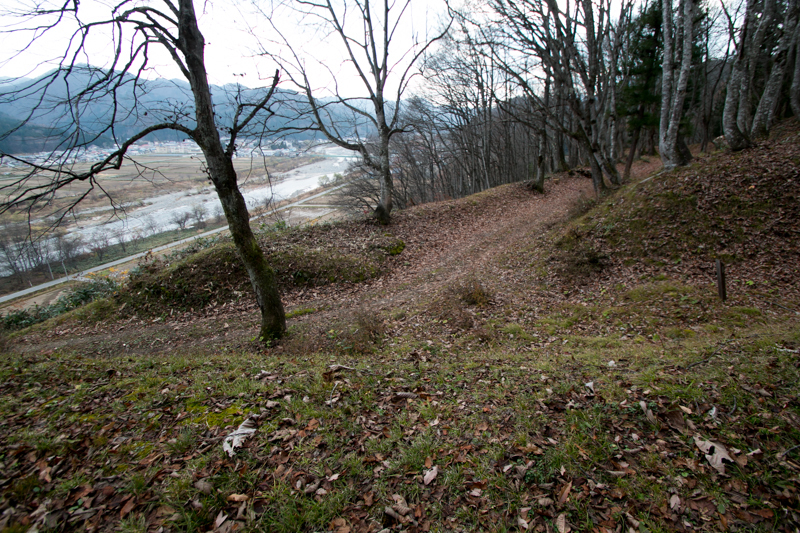 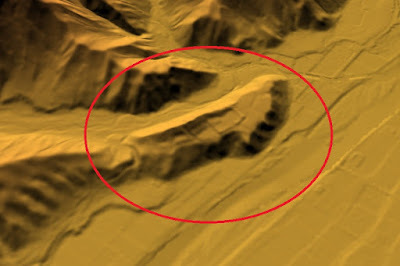 Between central area and south edge of the castle which is connected to next hill then expected battle front, there are three continuous areas such as secondary area, third area and south area being separated by clay walls and dry moats. 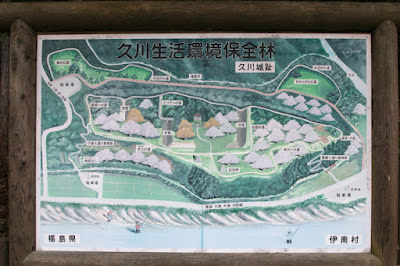 Each area is connected by narrow and folded gates, to enable to gain time even just a little. 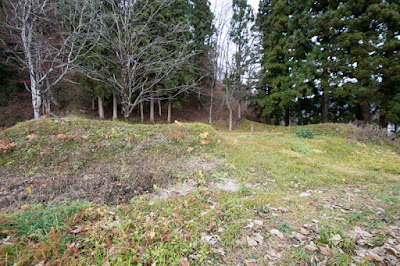 At the backside of central area, there is a large flat area named north area which might be used as a residence and storage area. 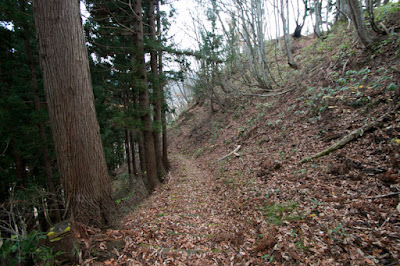 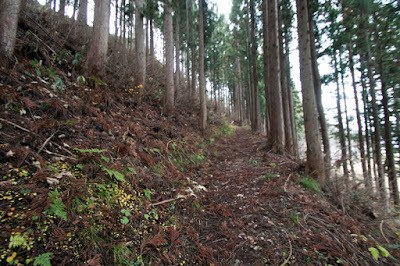 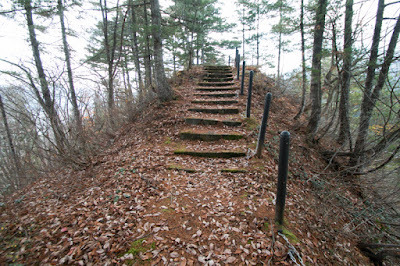 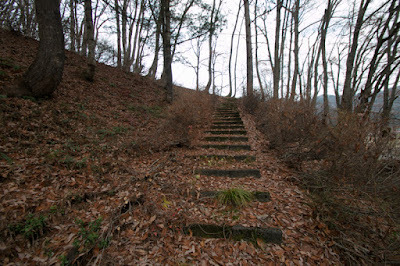 From hillside, two zigzag climbing road come up to the hilltop like a gangway. 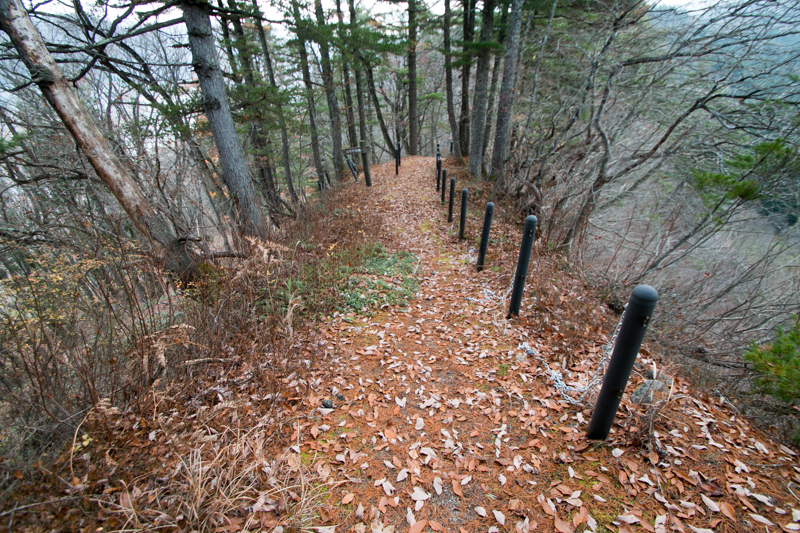 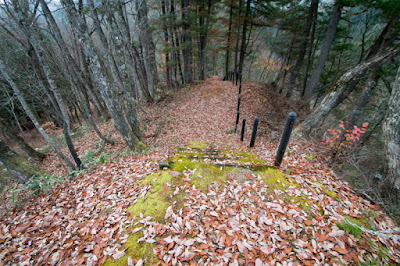 At the foot of this climbing route, a square shaped barrier protected by dry moat were built to control the entrance. 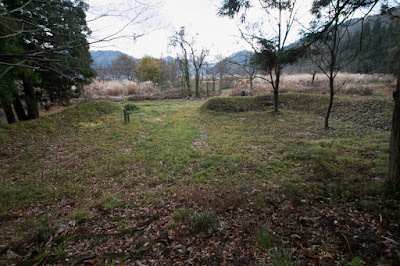 The more looked, Hisakawa castle looks like British Nelson class battleship which has three gun turrets before the control tower and utility space at the end. 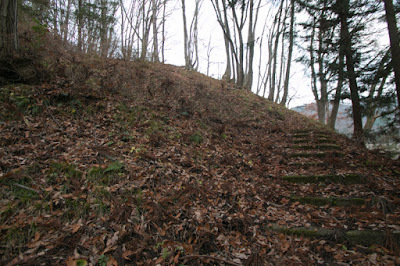 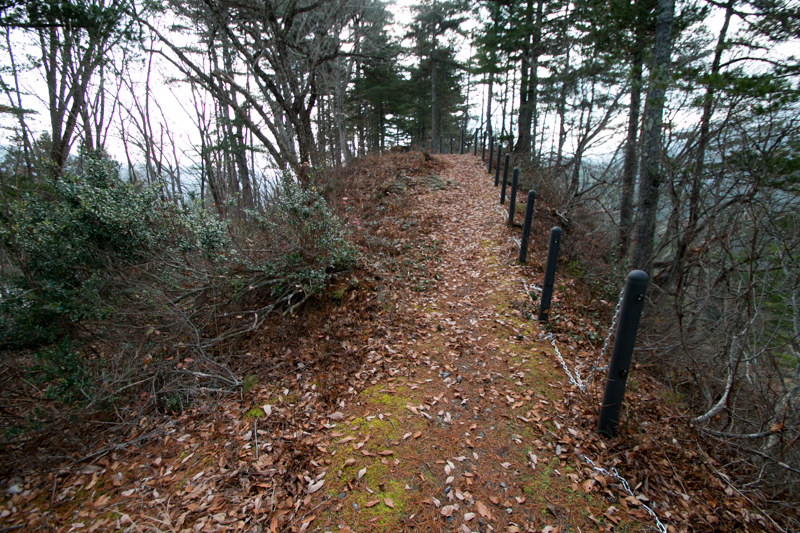 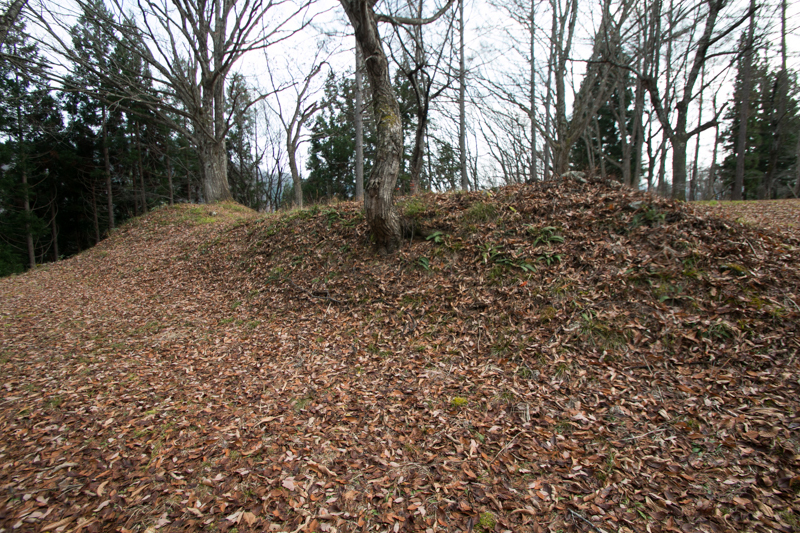 Hisakawa castle is basically protected by stone walls, but important gate and path equipped primitive style stone walls consist of small stones. 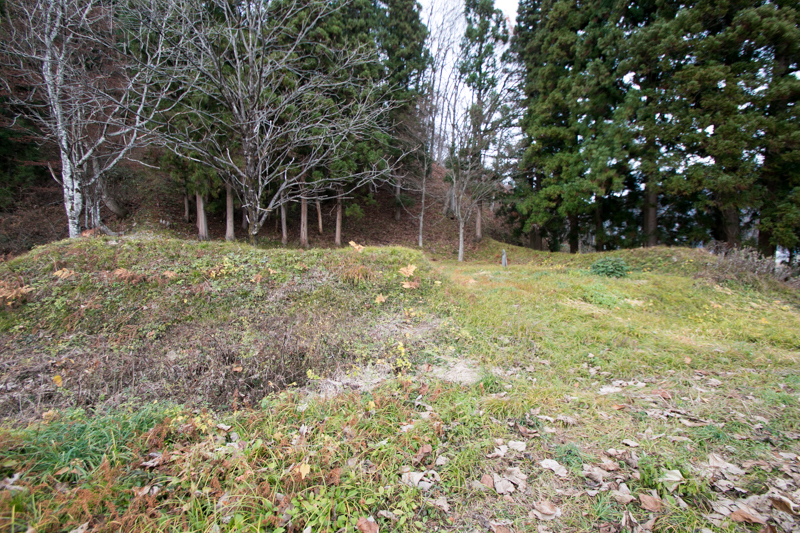 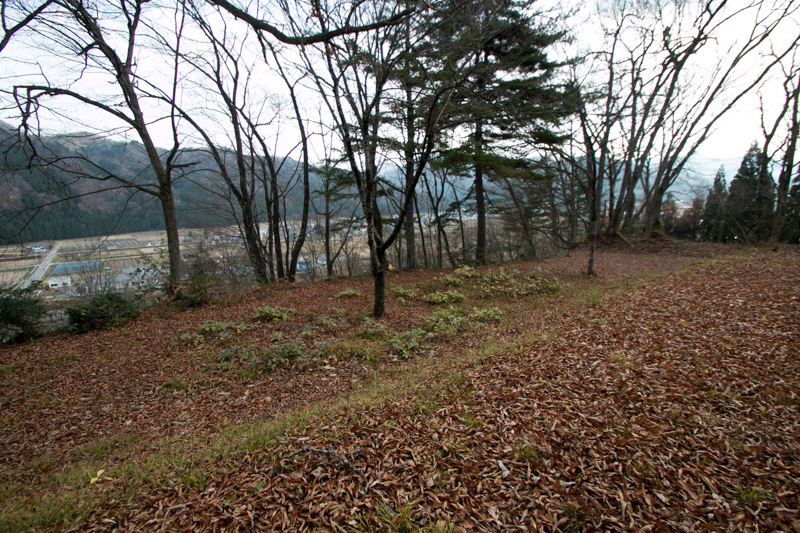 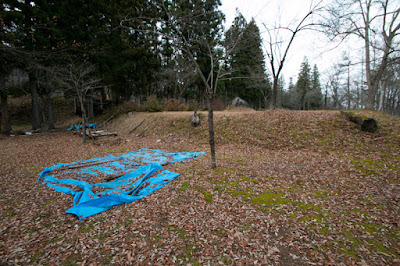 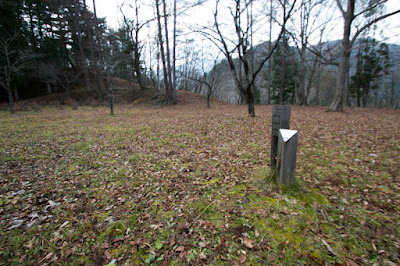 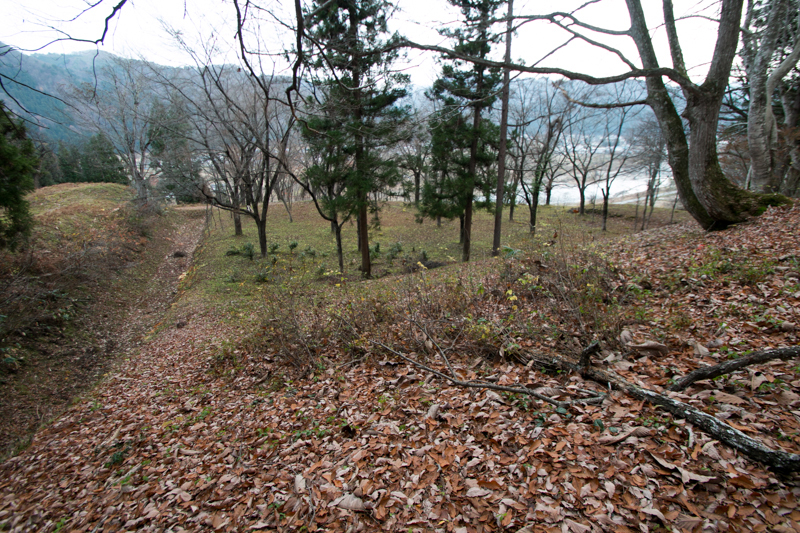 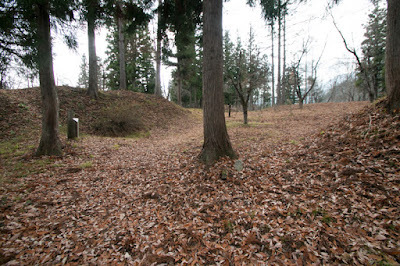 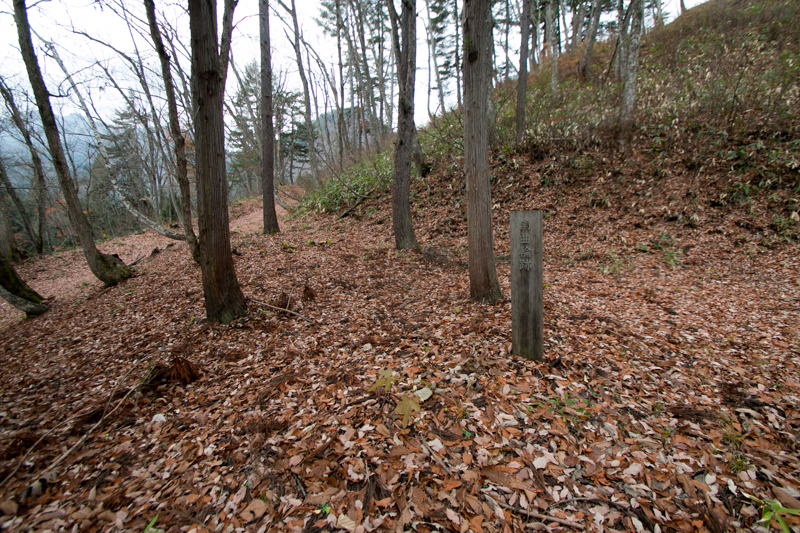 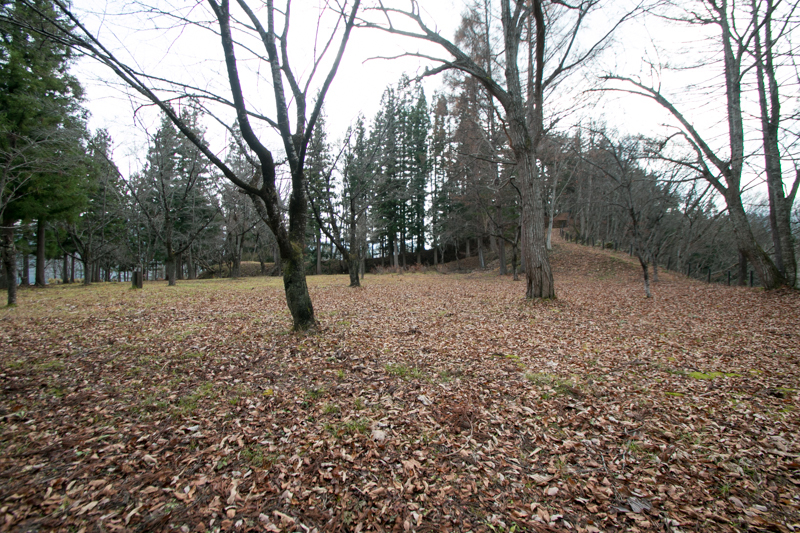 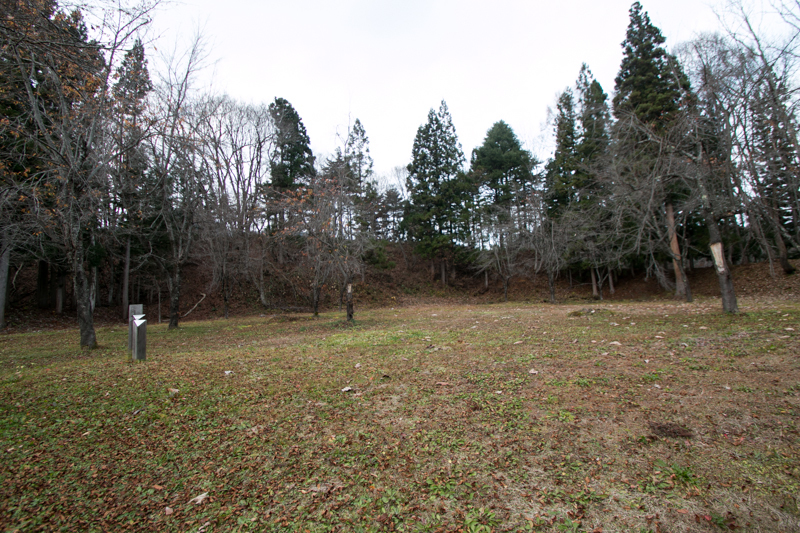 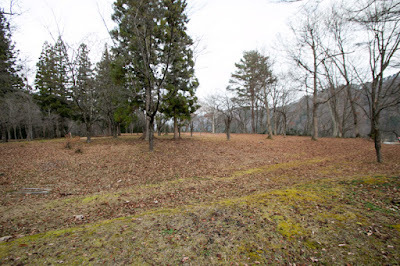 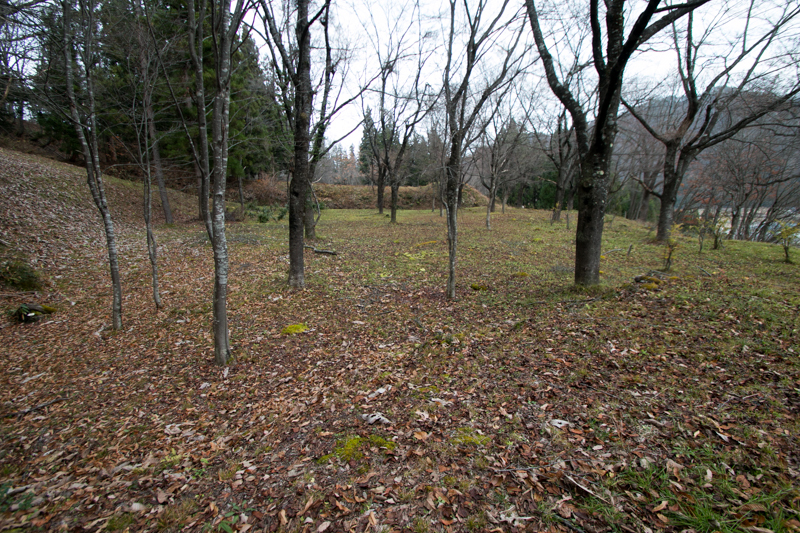 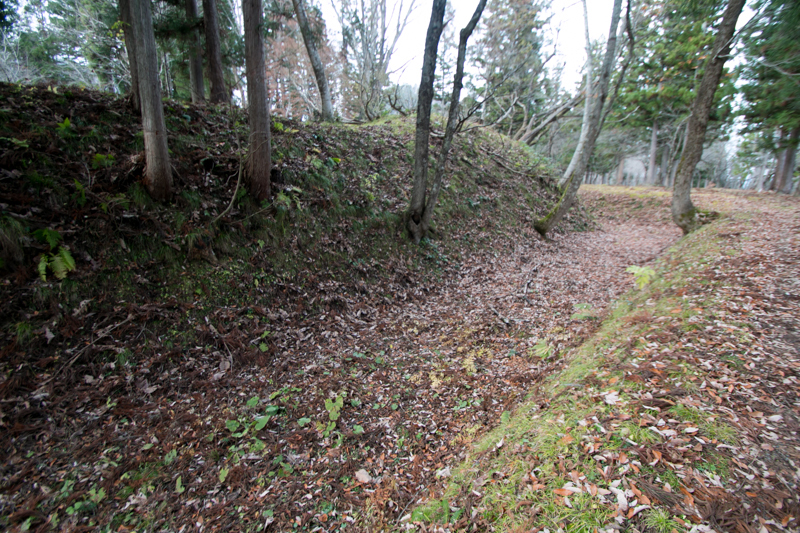 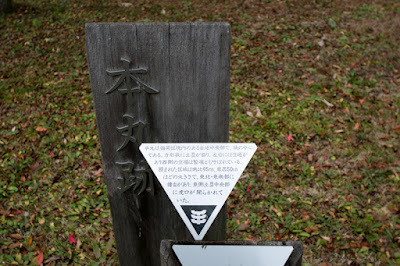 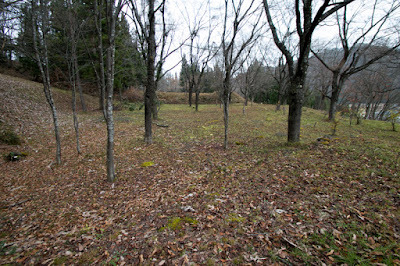 As a result, no rebellion had occurred at this area and Hisakawa castle was not involved in actual battle. 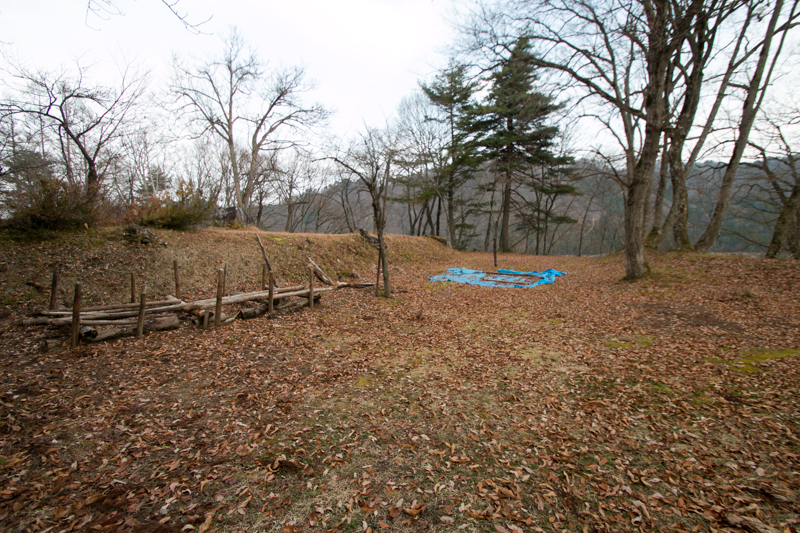 Same as actual battleship, this castle might worked as a deterrence power for the area. 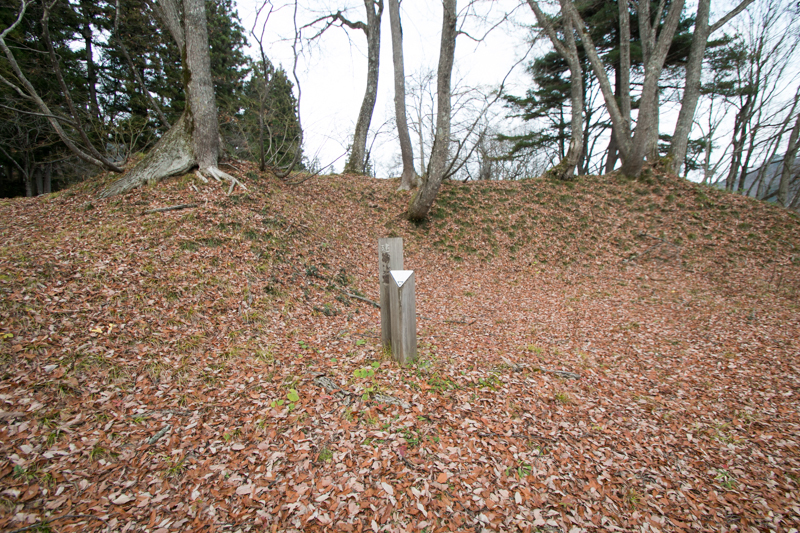 After the death of Ujisato in 1595, Gamo clan once lost Aizu area and Kagekatsu Uesugi became the next lord in 1598. But Uesugi clan also lost Aizu area as a result of battle of Sekigahara in 1600, Gamo clan returned to Aizu area under Edo Shogunate. 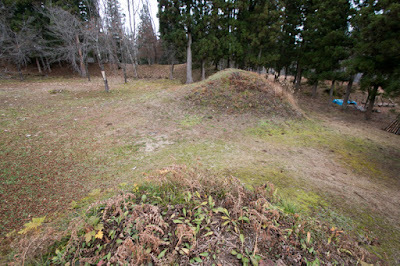 Among this period Hisakawa castle had been maintained as a branch castle, but finally was abolished around 1609. 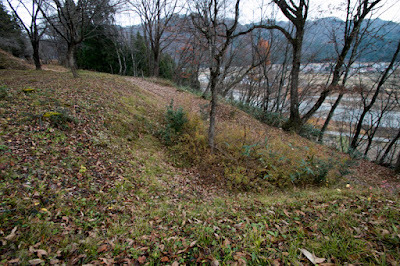 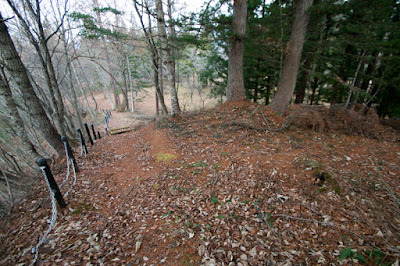 Today all building was lost, but shape of castle including one hillside entrance barrier is well kept. 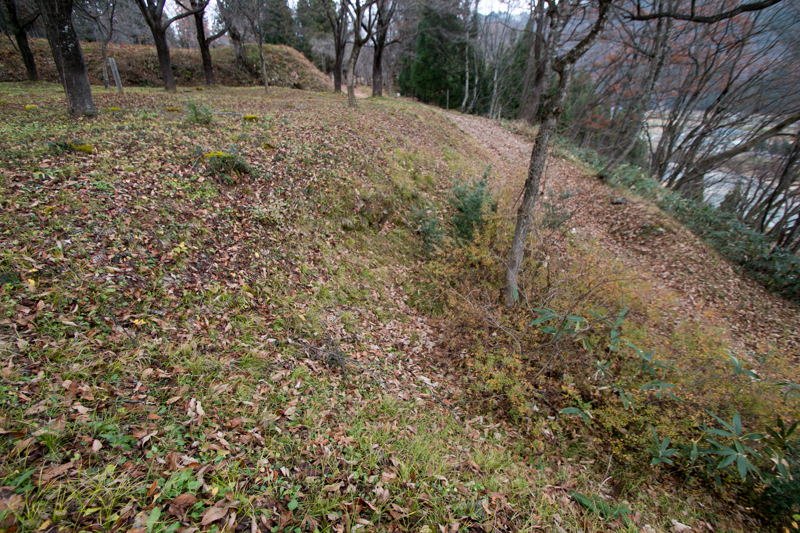 Totally flatly shaped hilltop area with straight lined clay wall and dry moat might well showed modern technology of central ruler to local people, even lacked stone walls. 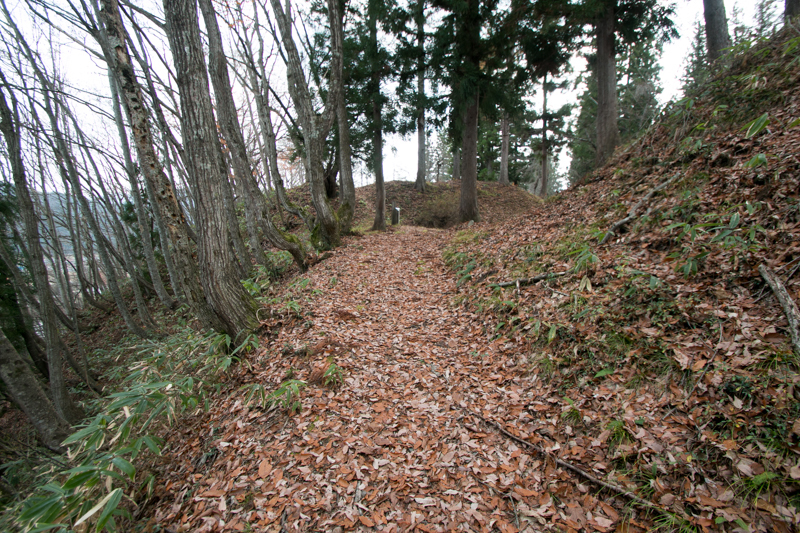 When we look around from hilltop area of castle, it feels like the captain with spirit and anxiety who navigates troubled water with his trusted ship. 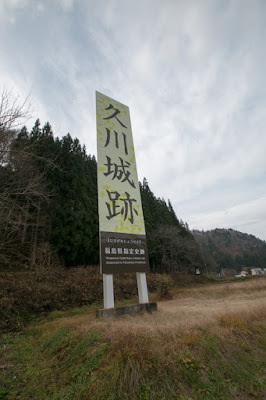 60 minutes drive from Aizu Wakamatsu city. 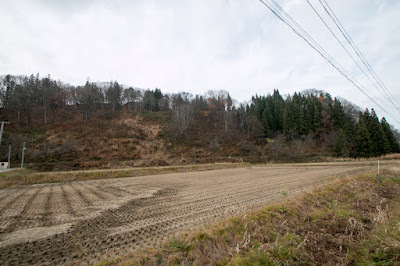 It might be possible to visit by bus from Aizu Tetsudo Line Aizu Tajima station but inconvenient.